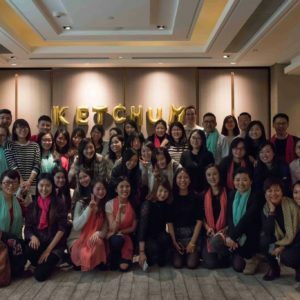 2016 was an exciting year for Ketchum. 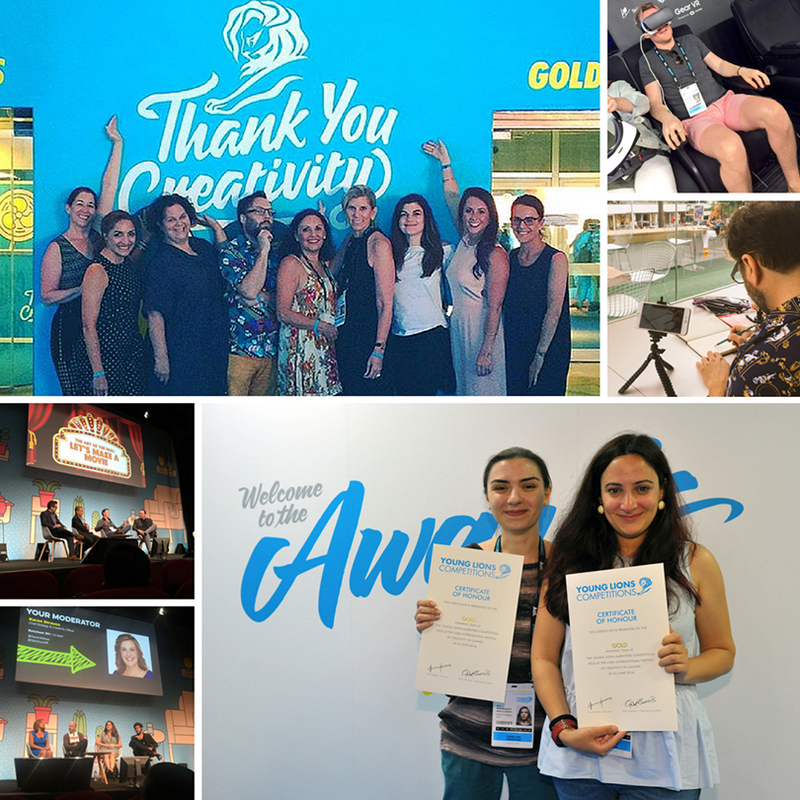 We partnered with our clients on award-winning campaigns, expanded our global leadership team, brought new and disruptive ideas to the forefront and focused on our communities. 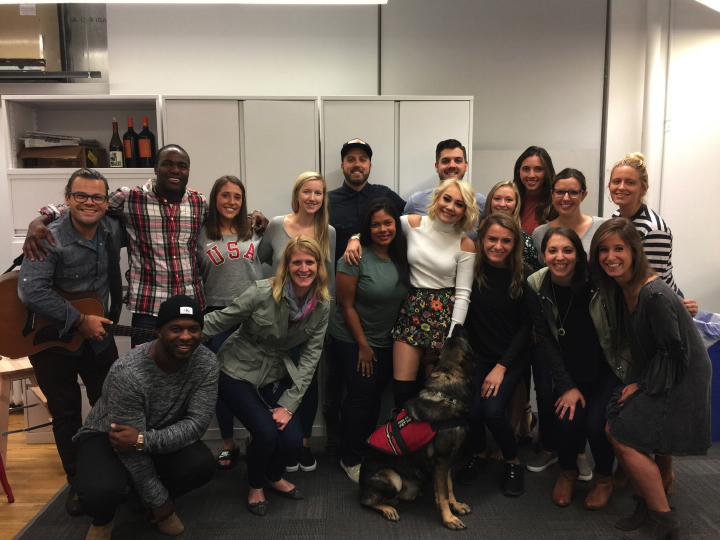 Thank you for being an important part of our journey. 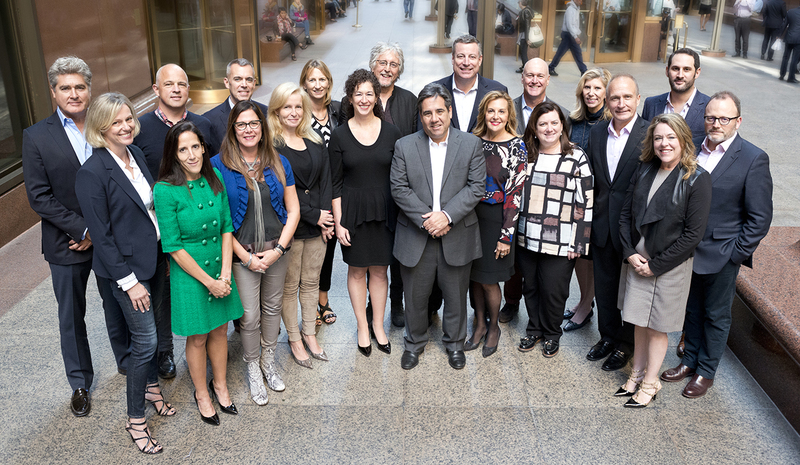 This year we evolved Ketchum’s leadership structure announcing the creation of the Global Leadership Council. 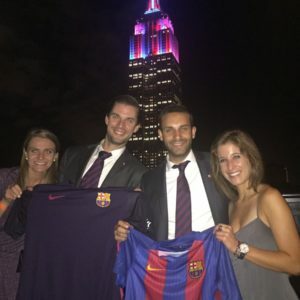 Picture taken at their first in-person meeting in New York. 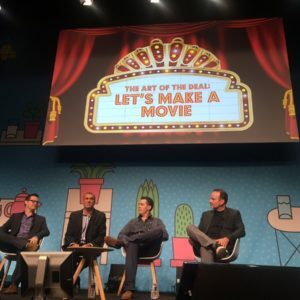 Marcus Peterzell led a session at the Cannes Lions International of Festival of Creativity. 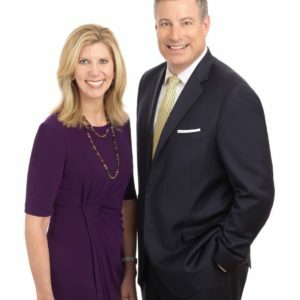 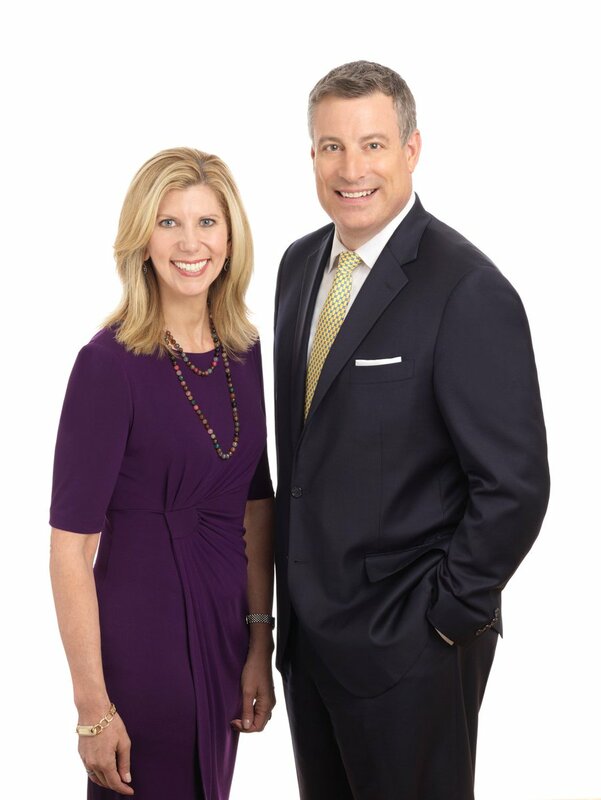 Barri Rafferty was named President of Ketchum and Rob Flaherty took on the title of Chairman and CEO. 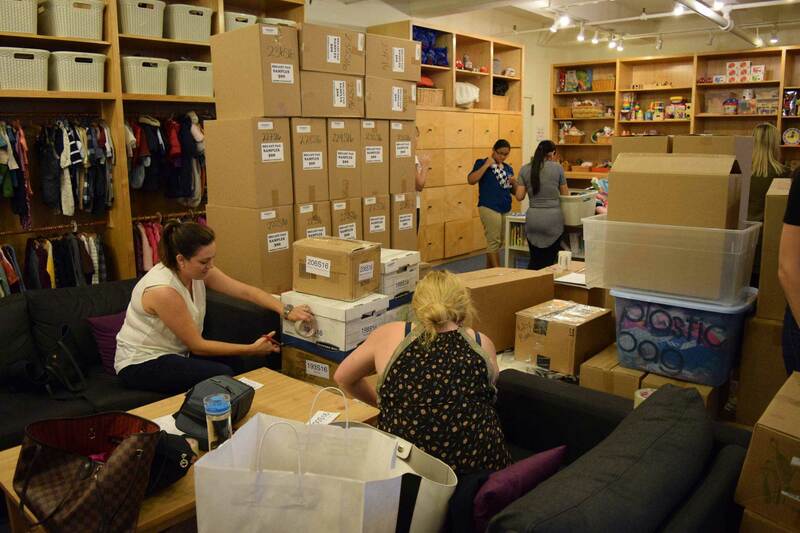 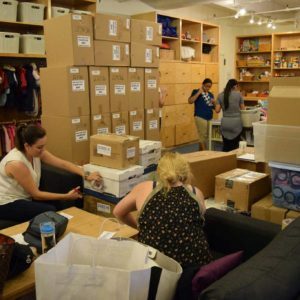 Our Los Angeles colleagues packaged 100 bags of food for veterans and prepared 260+ lbs. 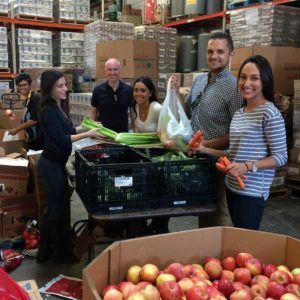 of rice & beans for local families at the Westside Food Bank. Janelle Rasey from our San Francisco office enjoyed a meal out with colleagues during her visit to our Seoul, South Korea office as part of our Global Scholar program. 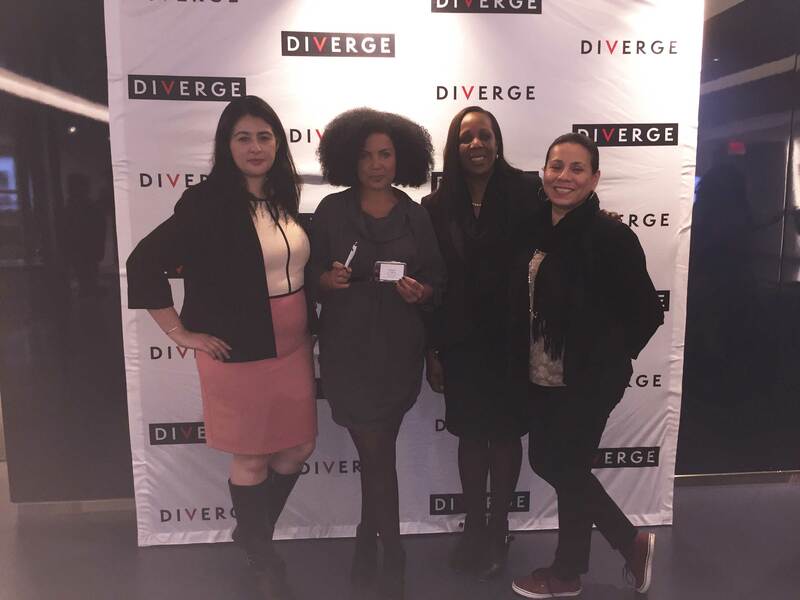 Ketchum colleagues at the launch of DIVERGE, ColorComm's online diversity publication featuring the latest news in marketing, advertising and communications. 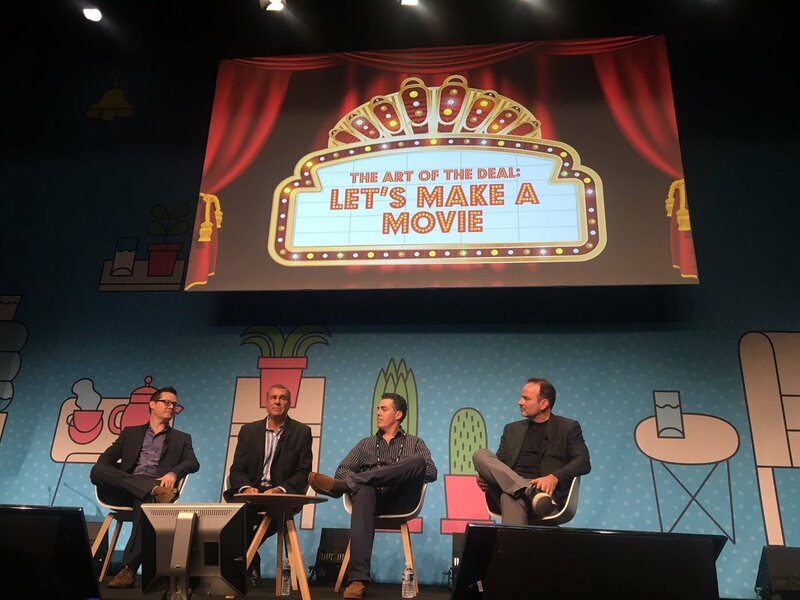 Ketchum colleagues took part in the Cannes Festival of Creativity. 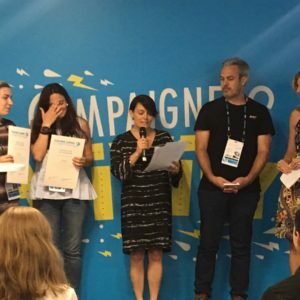 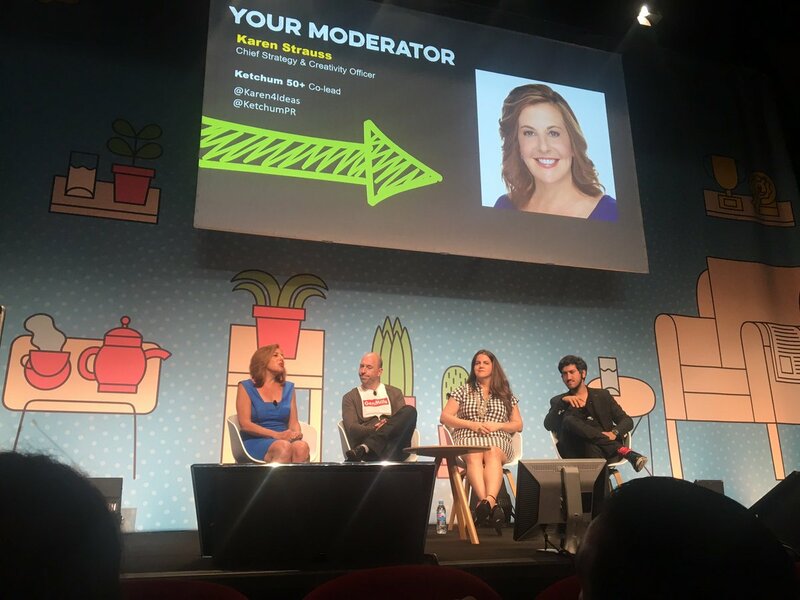 Ketchum held two main stage sessions and sponsored the Cannes Young Lions Marketers Competition for the sixth straight year. 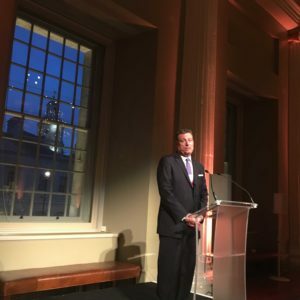 Rob Flaherty had the incredible honor of chairing this year’s Arthur Page Society Annual Conference, which focused on the theme "Clash of the Empires: Building Bridges In A Divided World." 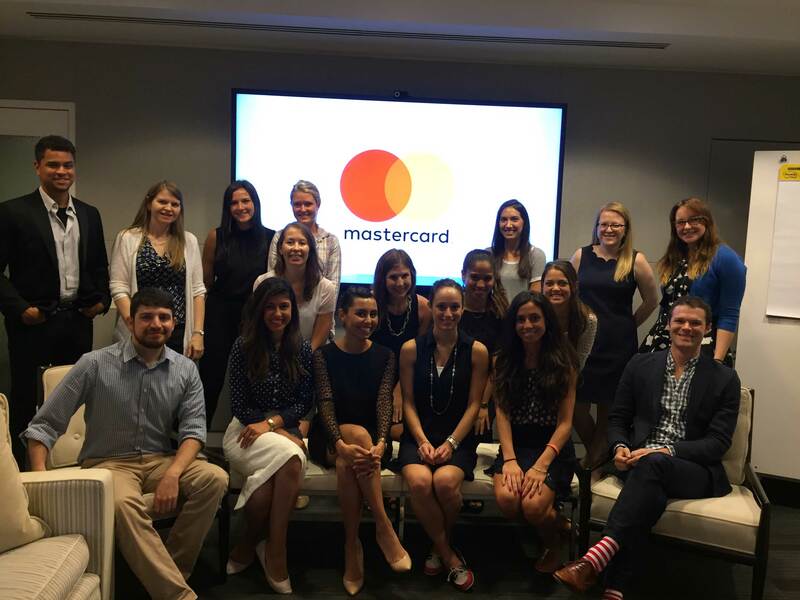 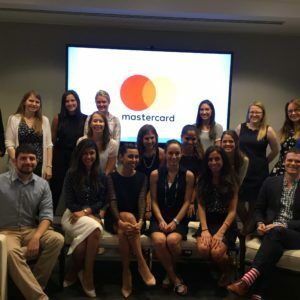 Our NYC colleagues were in the war room with the Mastercard News (*client) team for their big brand and digital transformation events. 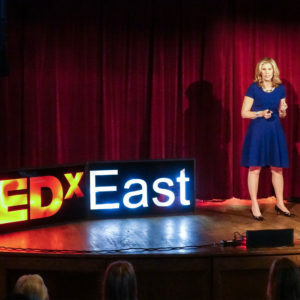 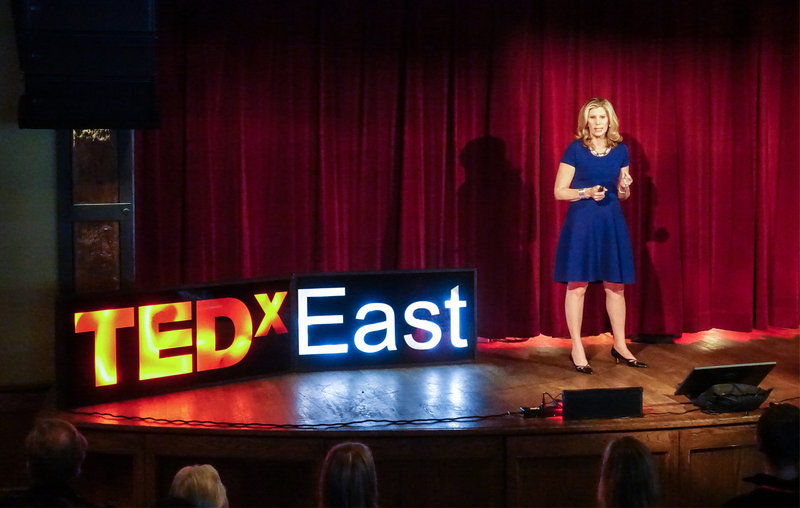 Barri Rafferty gave a talk at TEDxEast titled “It’s Never Too Late to Declare a Minor” and discussed how finding a “minor” can lead to fulfillment. 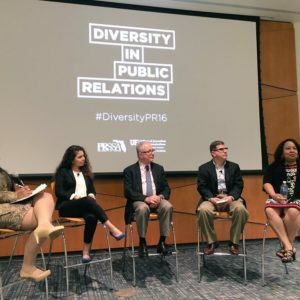 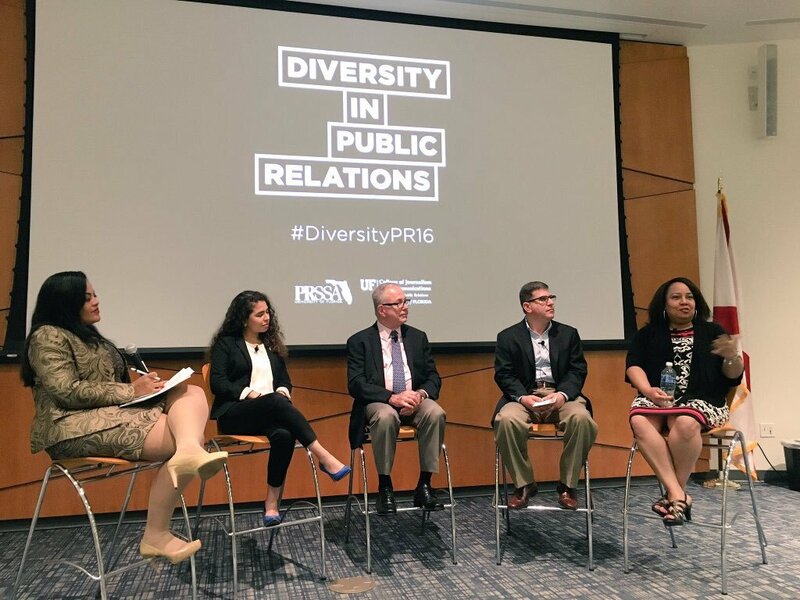 Sharon Jones (far right) took part in the University of Florida PRSSA’s Diversity in Public Relations panel. 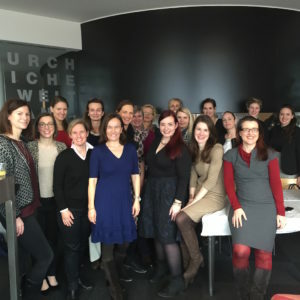 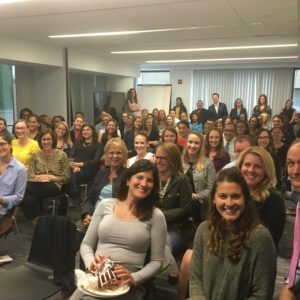 Ketchum Publico put together a Women’s Breakfast for colleagues and clients in March. 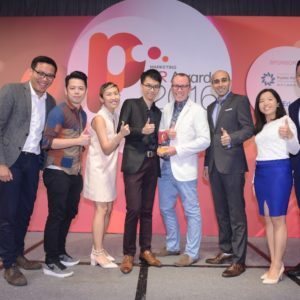 Ketchum Greater China was proud to work on two campaigns that swept the major PR award shows this year: Braun Share the Shave and Wonderful Pistachios' Happistachio New Year. 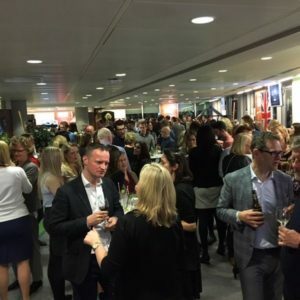 Following their office move, Ketchum London invited clients, journalists and colleagues to come and celebrate the new space at their Welcome to Bankside showcase. 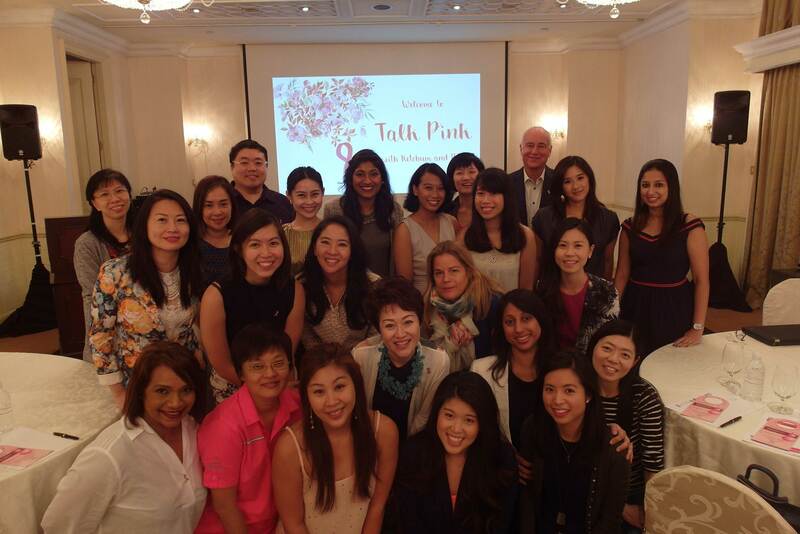 Colleagues from Singapore, including Judith Knight, Deputy GM (front row, left), and John Bailey, MD (back row), at a Breast Cancer Awareness briefing organized for the Breast Cancer Foundation, which Ketchum Singapore supports on a part-paid, part pro bono basis. 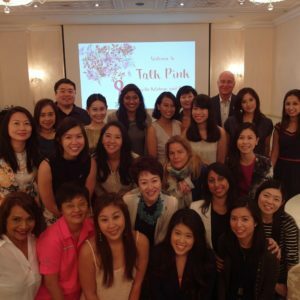 The event was hosted by the iconic Raffles Hotel (*client). 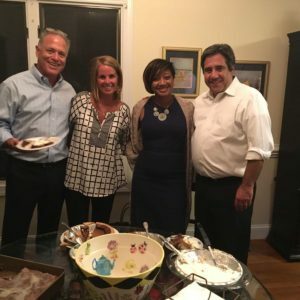 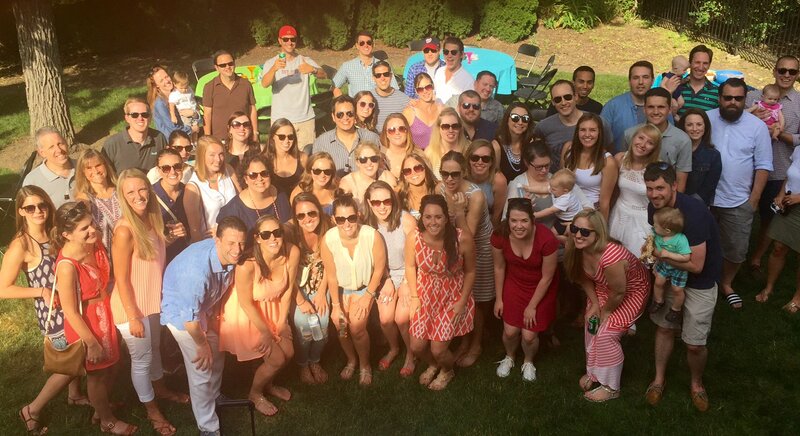 Ketchum Chicago colleagues got together for their annual summer barbeque, with great food and even better conversation. 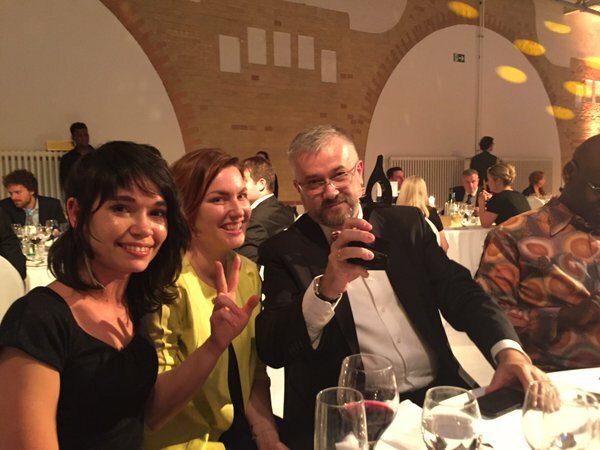 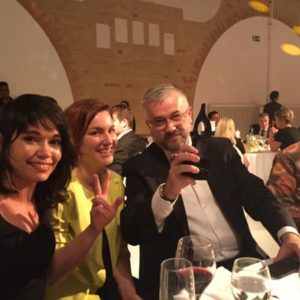 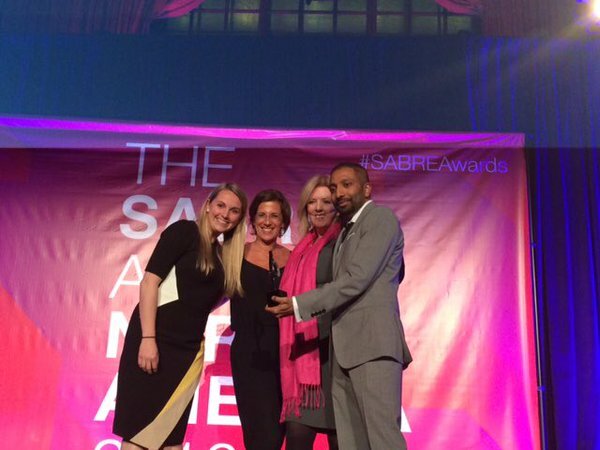 Colleagues from Ketchum Maslov celebrated being named Russian PR Consultancy of the Year at the EMEA SABRE Awards. 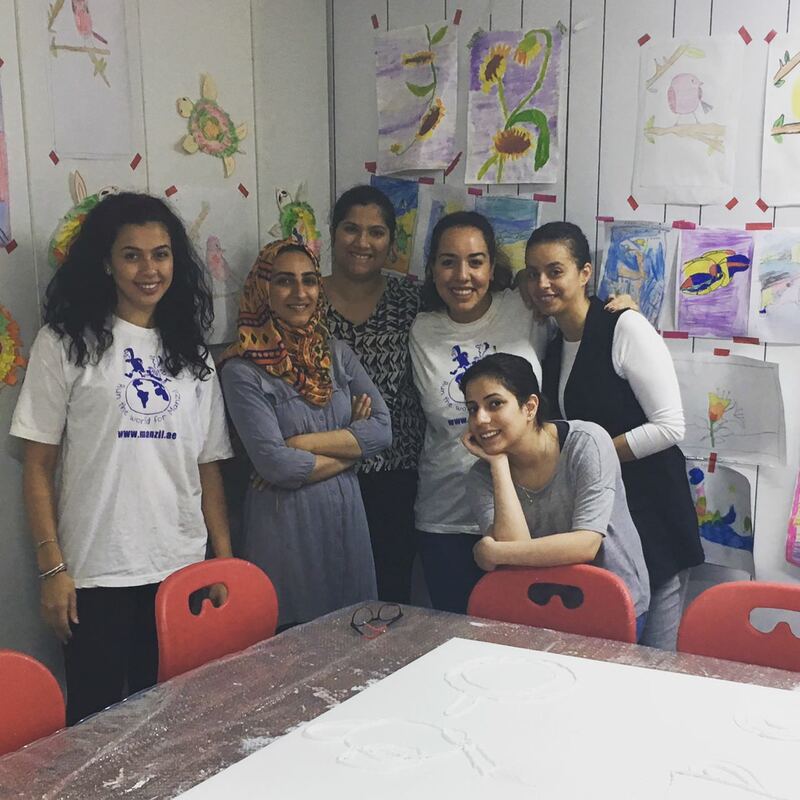 Ketchum Raad Middle East colleagues pose with the project manager of START, an organization that hosts workshops using art as a medium to support the development of children with special needs, at the Al Manzil Center. 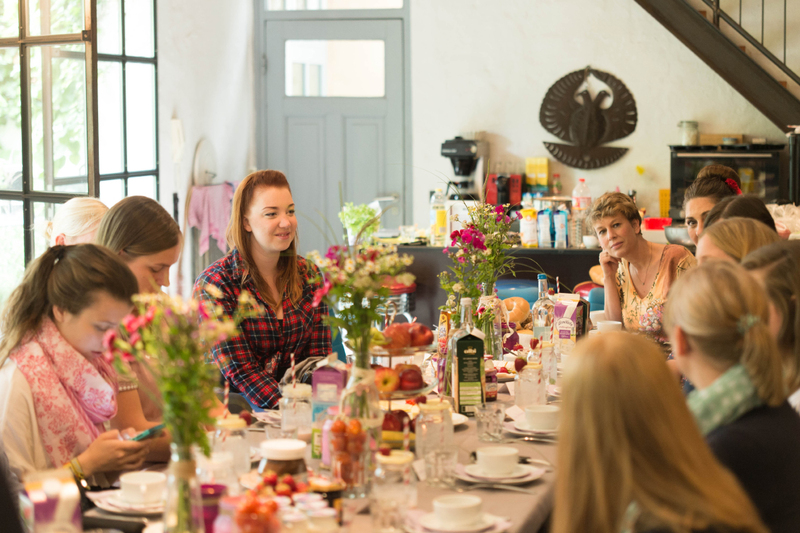 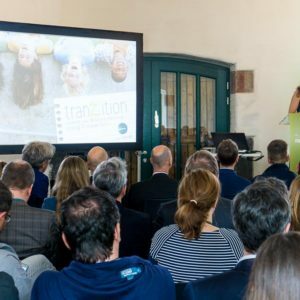 Ketchum Pleon Stuttgart put together an event for Friesland Campina brand Landliebe. 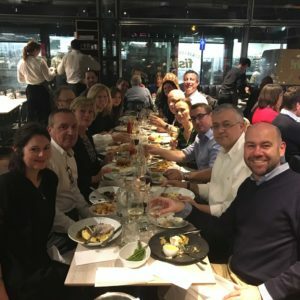 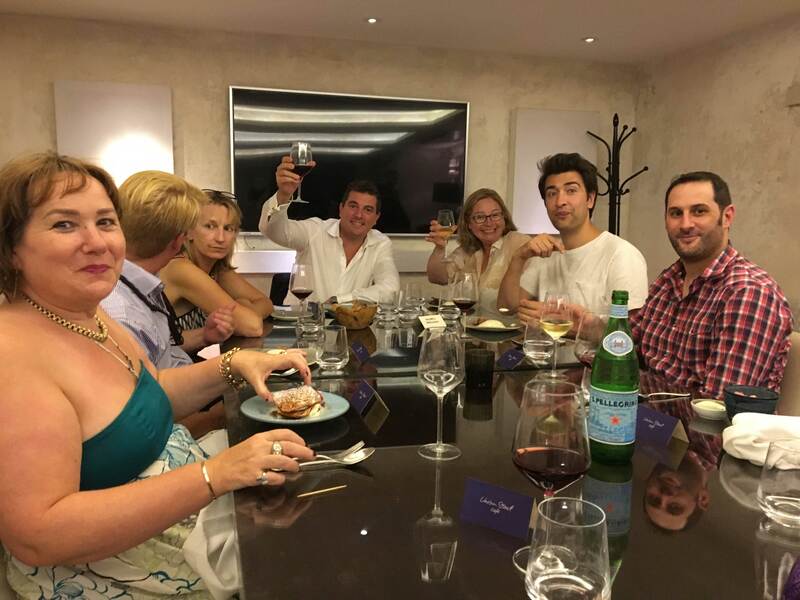 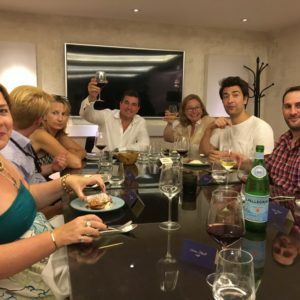 Ketchum London’s senior leadership team enjoyed their annual team dinner. 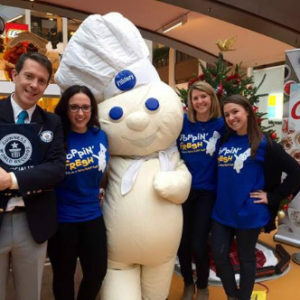 Declaring the first ever National Cookie Decorating Day, Ketchum helped Pillsbury celebrate in record breaking fashion. 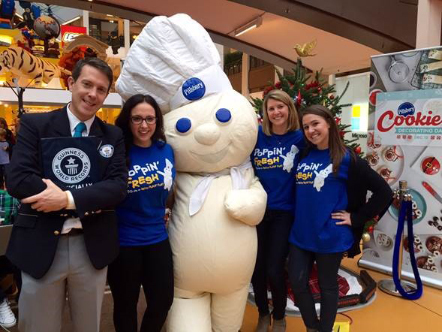 With a fun-filled holiday event at the Mall of America, mall goers helped Pillsbury set a Guinness World Record title for the ‘Most cookies iced in 1 hour’ icing 1,169 cookies. 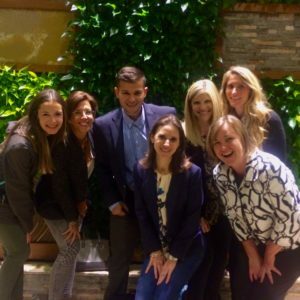 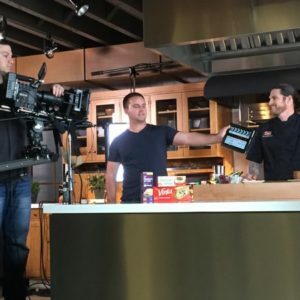 Ketchum colleagues had a great time at the Food and Nutrition Conference and Expo and helped to support client activities, attended educational sessions and spotted trends. 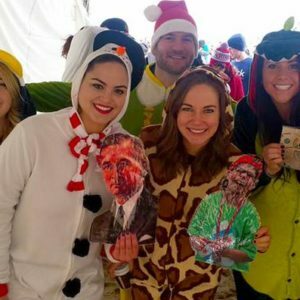 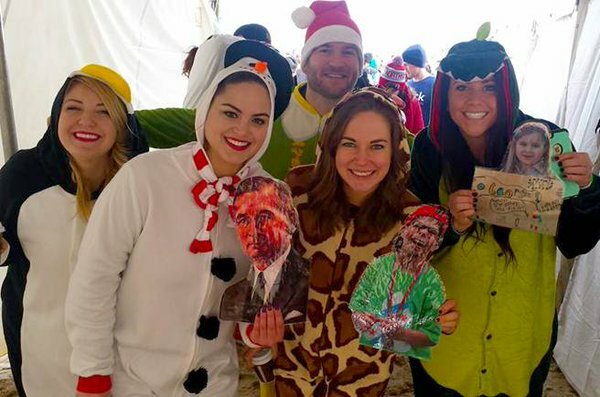 Colleagues from Chicago participated in the Polar Plunge to support the Special Olympics. 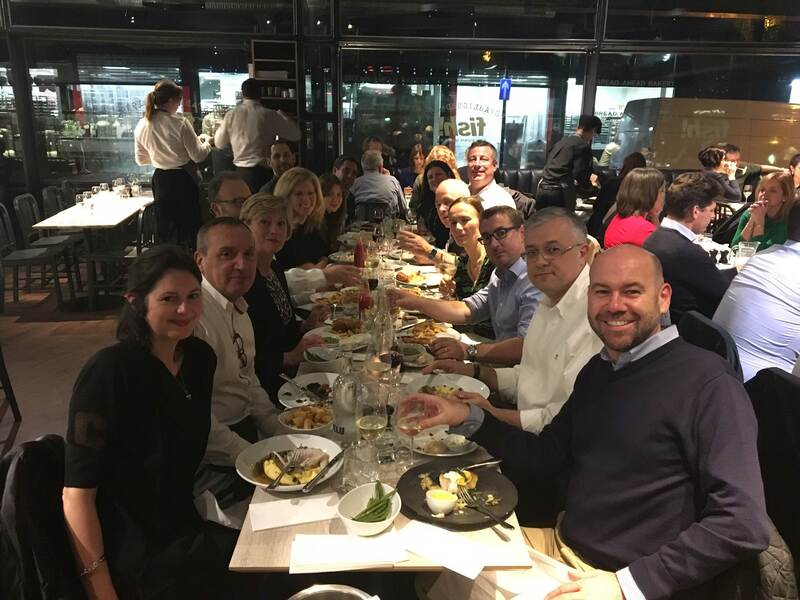 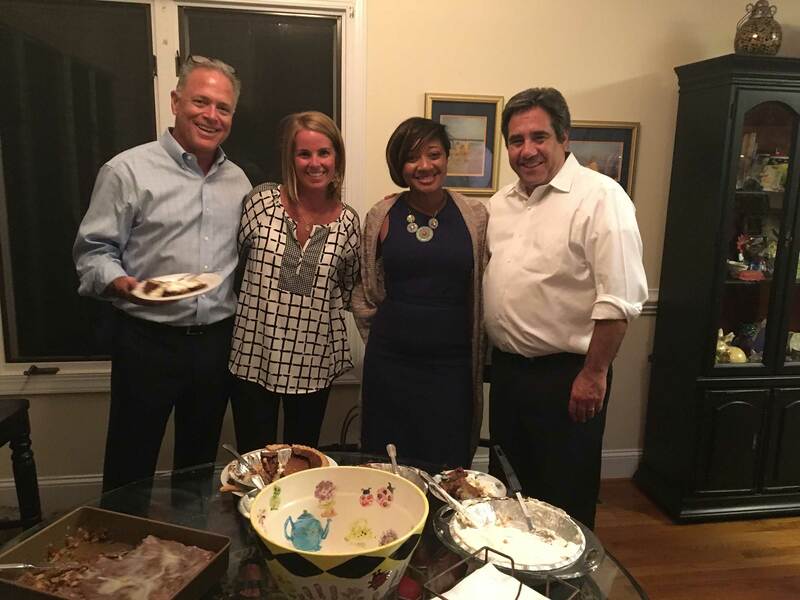 Rob Flaherty, Barri Rafferty and Ketchum Executives enjoy a team dinner. 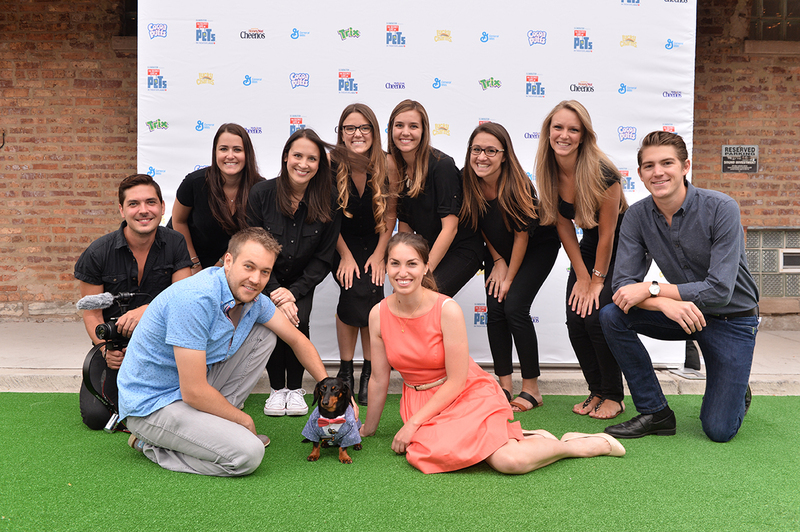 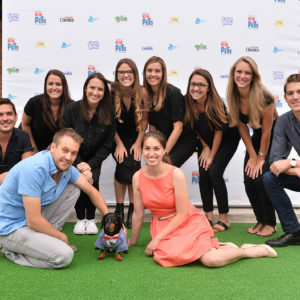 Our General Mills team was all smiles at the pets-only movie event for The Secret Life of Pets in Chicago. 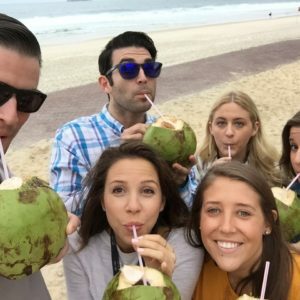 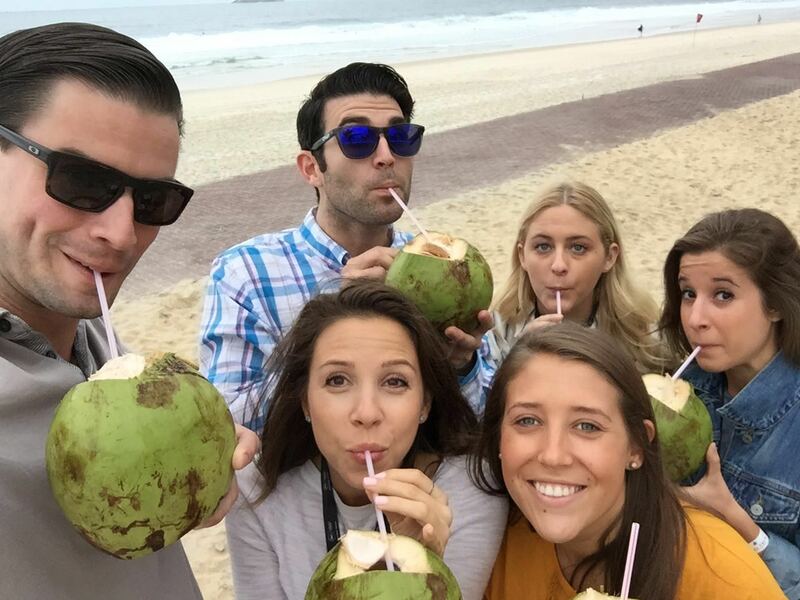 Our Ketchum Sports and Entertainment team enjoyed coconuts on the beach in Rio while they were there representing clients during the 2016 Olympics. 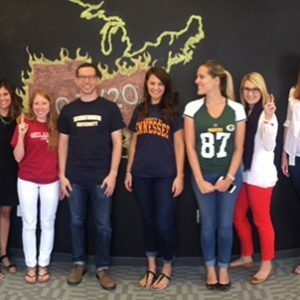 The Ketchum Dallas team showed team spirit for each other and their favorite sports teams. 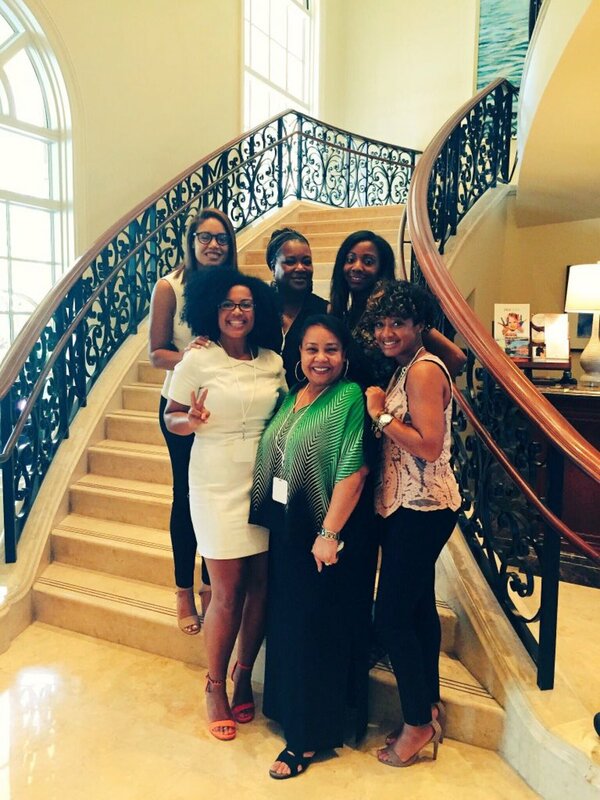 The Ketchum team at this year’s ColorComm Conference in Miami. 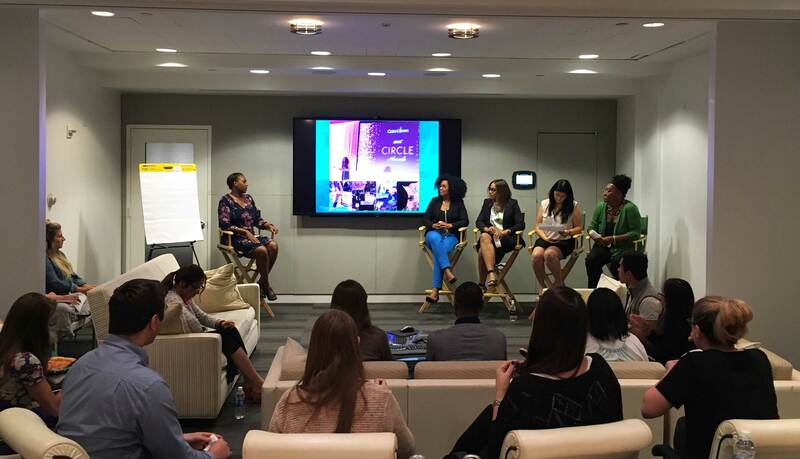 Our colleagues shared lessons from ColorComm and continued the dialogue on Diversity & Inclusion in the workplace in our New York office. 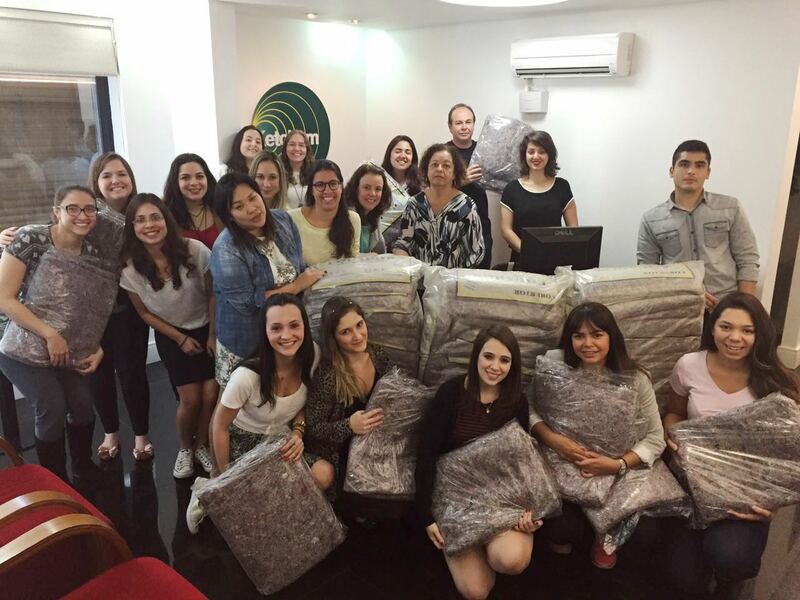 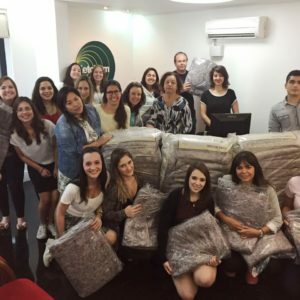 Colleagues from Brazil participated in a coat drive. 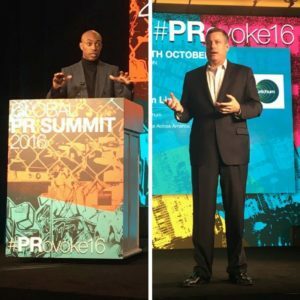 Chairman and CEO Rob Flaherty spoke at the Holmes Report's Global PR Summit with Casey Gerald to discuss the importance of leading business with a purpose. 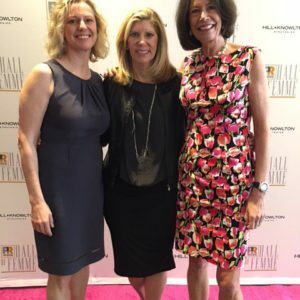 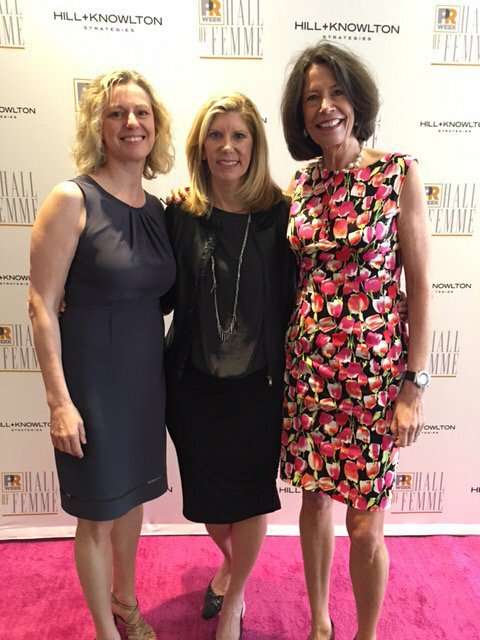 Ketchum president Barri Rafferty (center) and CEO of Omnicom Public Relations Group Karen van Bergen (right) were inducted into PRWeek’s Hall of Femme. 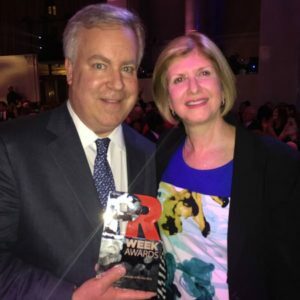 Ann Wool, President of Ketchum Sports and Entertainment, was named a Champion of PR. 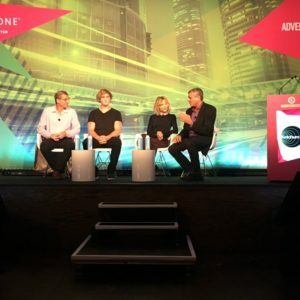 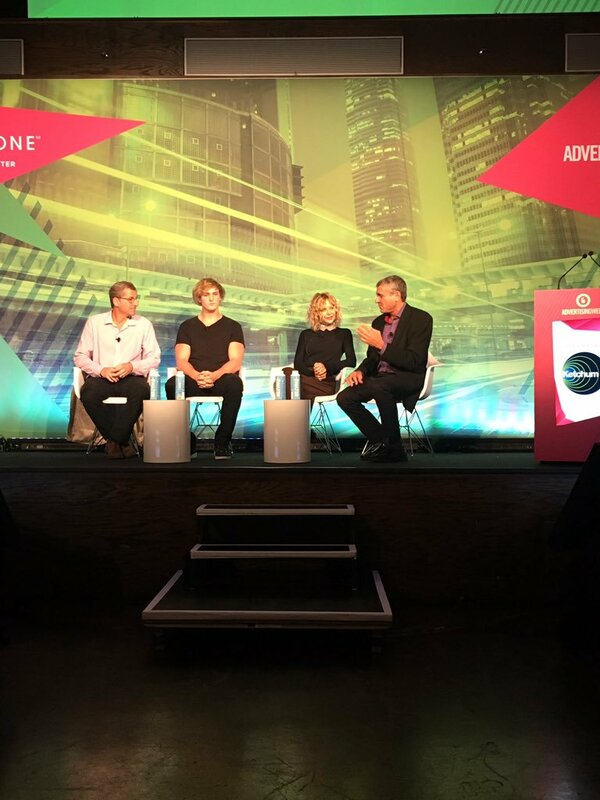 Ketchum Sports and Entertainment hosted a panel titled “How Are Brands Engaging the Real Transformers?” with Meg Ryan, Logan Paul, Robert Gordon and KSE’s Marcus Peterzell. 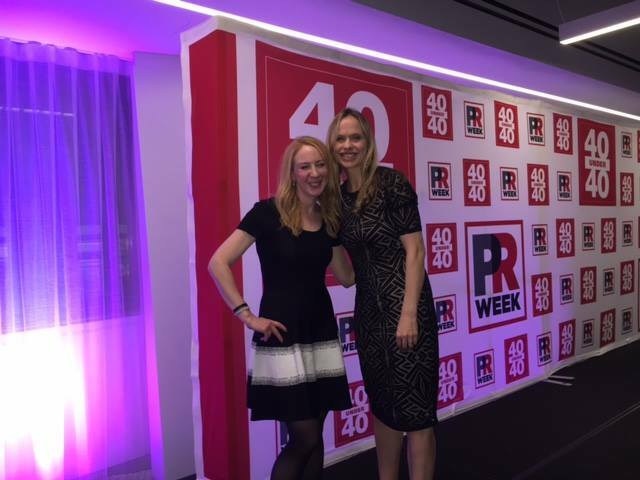 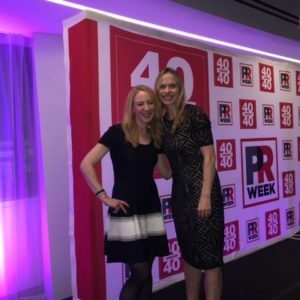 Alison Borgmeyer (right) was honored as one of this year’s PRWeek 40 Under 40. 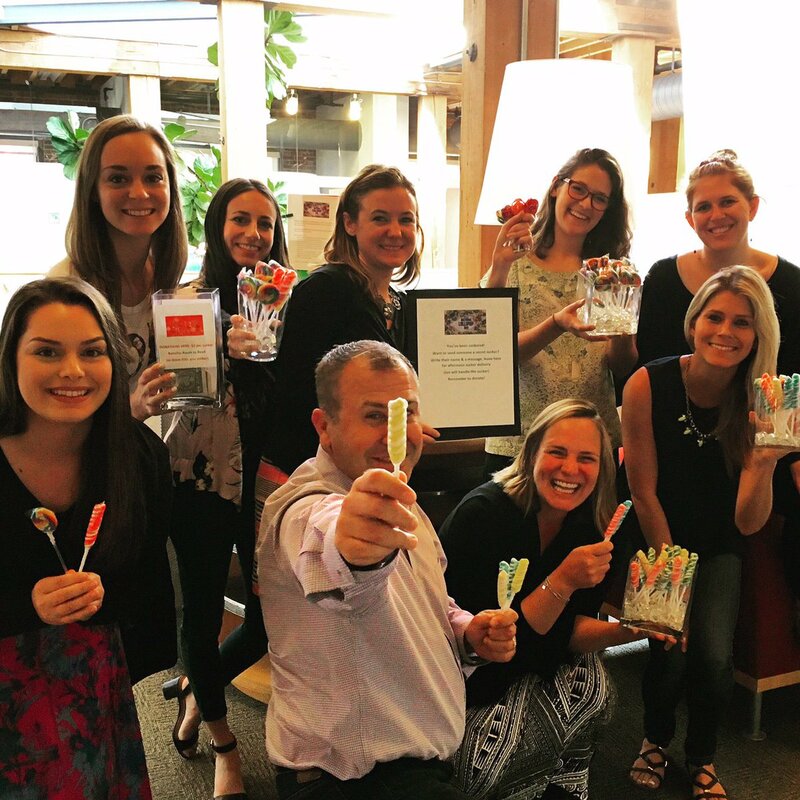 The San Francisco office held a fundraiser for Room to Read, Ketchum’s pro bono partner, on National Lollipop Day. 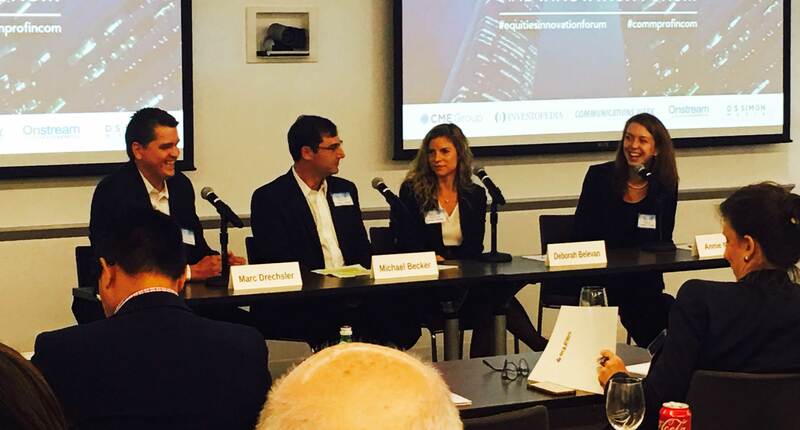 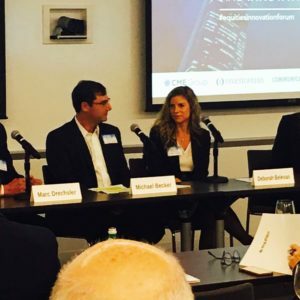 Marc Drechsler (left) participated in a panel at CommPRO.biz & Equities.com Financial Communications and Innovation Forum. 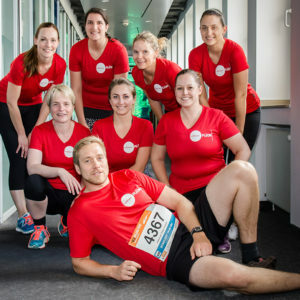 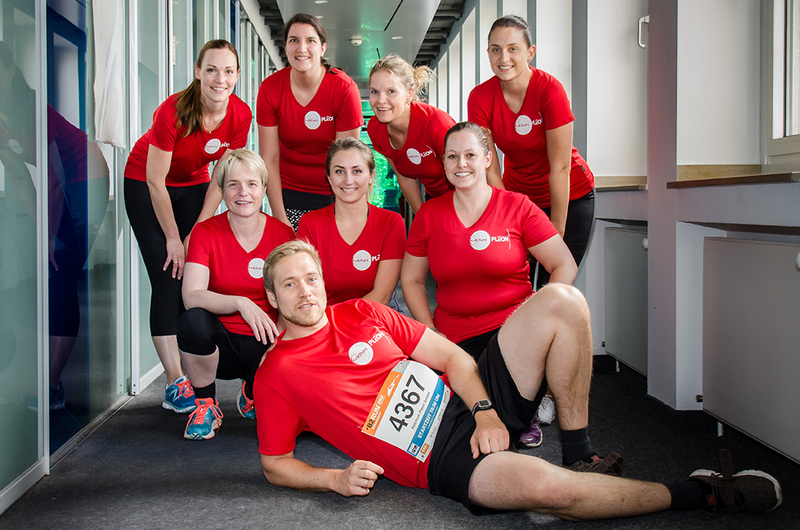 Our colleagues in Germany showed off their athleticism and took part in the Düsseldorf B2 run. 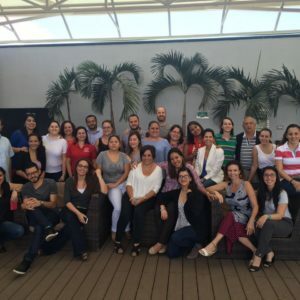 David Rockland shared insights on the evolution of PR measurement with colleagues and clients in Costa Rica. 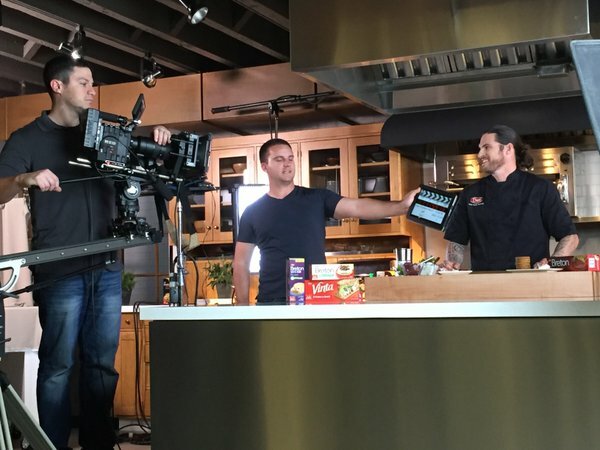 Superstar chef Kanye Raymond made everyone hungry with his Breton Crackers (*cl) recipes in the Ketchum Food Studio. 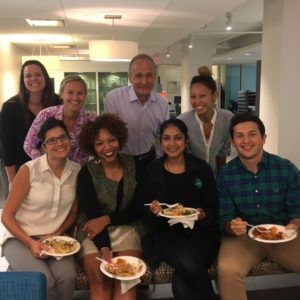 Ketchum’s Ray Kotcher transitioned to a Non-Executive Chairman role after having served as Ketchum’s CEO and Chairman for many years. 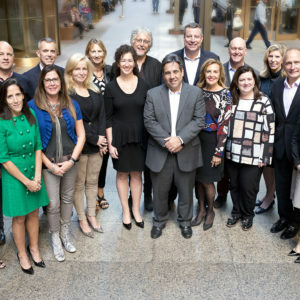 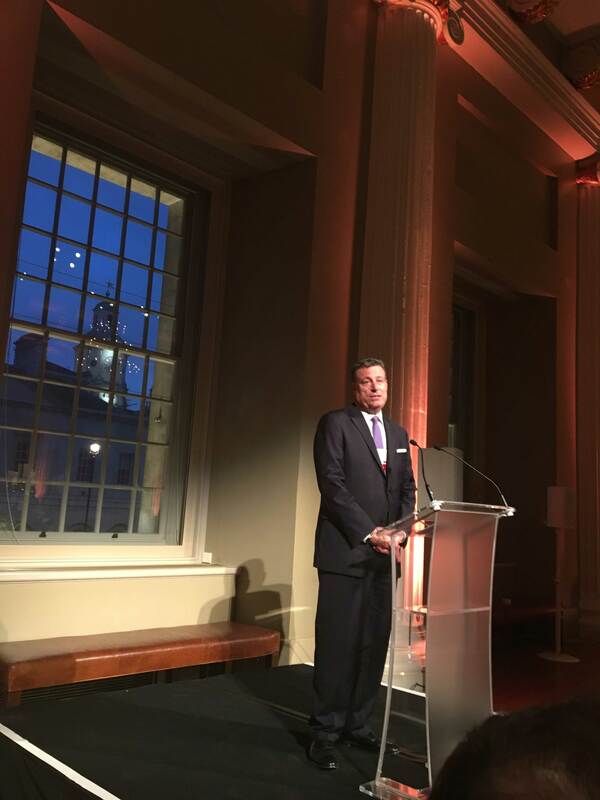 Ketchum’s CEO Rob Flaherty has now also taken on the role of Chairman. 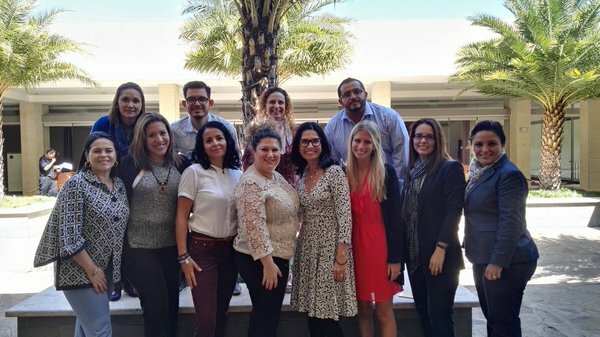 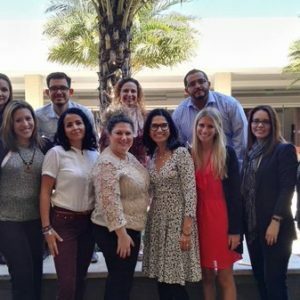 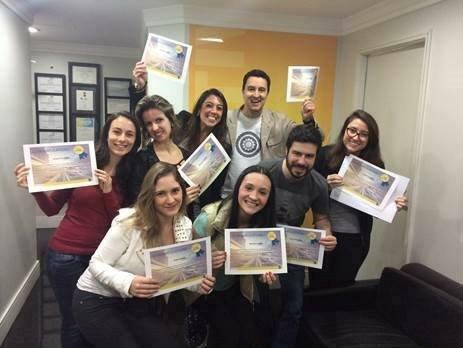 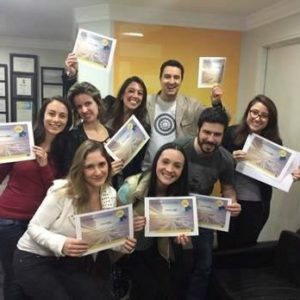 Colleagues in Brazil celebrate completing our global agency learning initiative, The Race in Real Time. 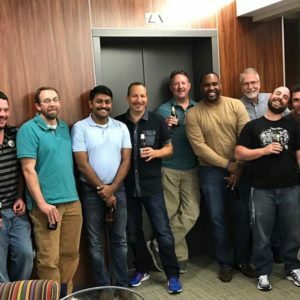 With over 1200 completions, they're looking as proud as they should be! 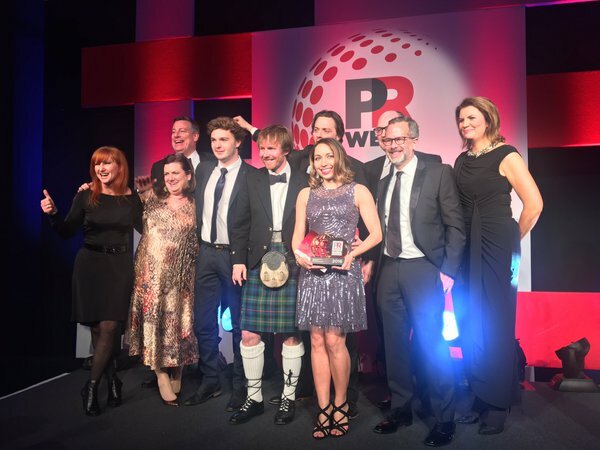 Rob Flaherty and Ketchum colleagues celebrated with Mastercard (*client) after winning the prestigious PRWeek Global ‘Campaign of the Year’ award. 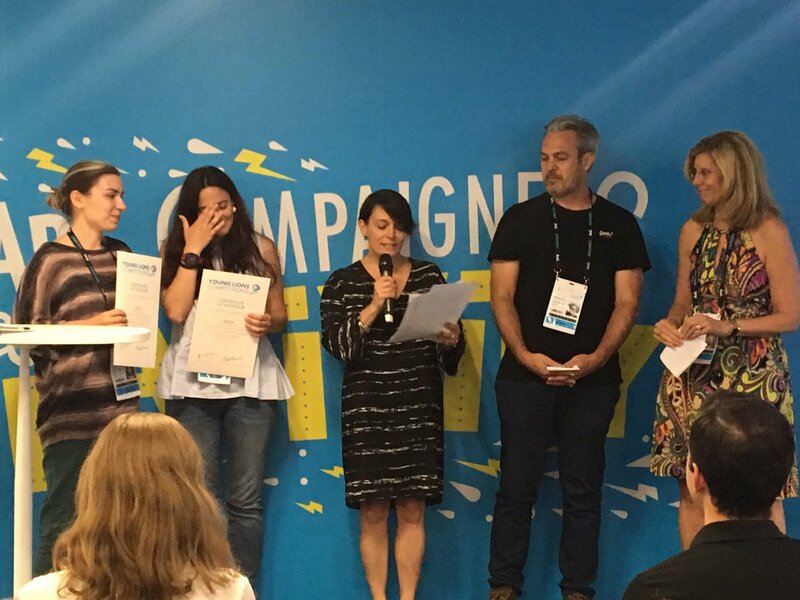 Barri Rafferty presented the winners of the Cannes Young Lions Marketers Competition with their awards. 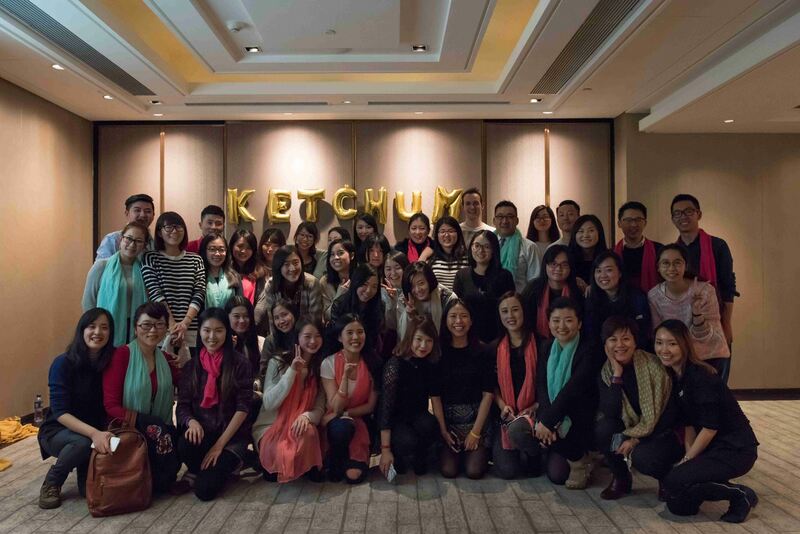 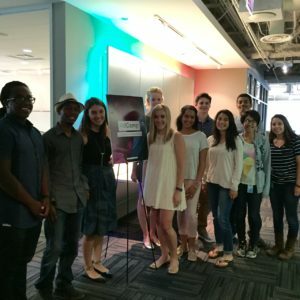 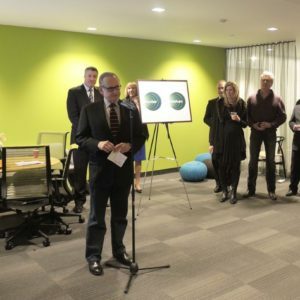 Ketchum has sponsored the Young Lions Marketers Competition for six consecutive years. 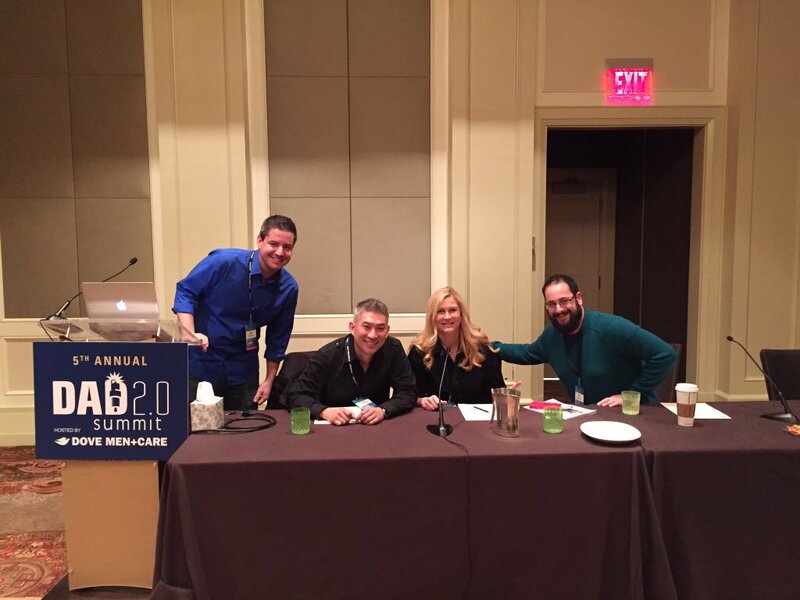 Jim Lin took part in the "Secrets of PR Revealed" panel at the Dad 2.0 summit. 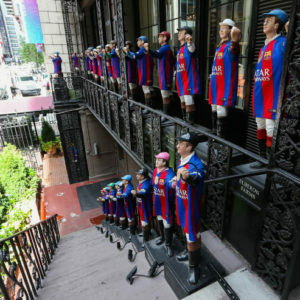 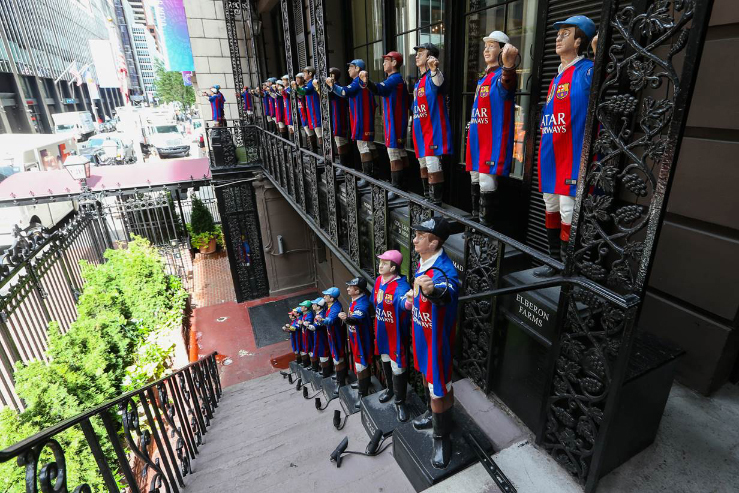 To celebrate its arrival in New York City, FC Barcelona (*client) dressed the jockeys in front of Manhattan’s iconic 21Club in #FCBarcelona jerseys. 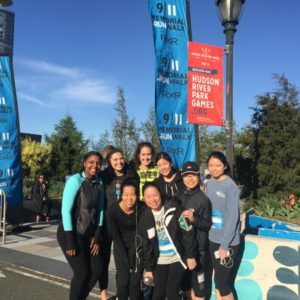 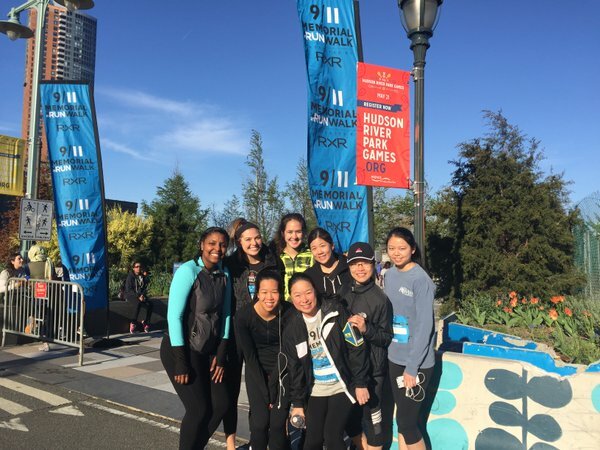 Ketchum was proud to sponsor the Sept 11th Memorial 5k, which many of our colleagues participated in. 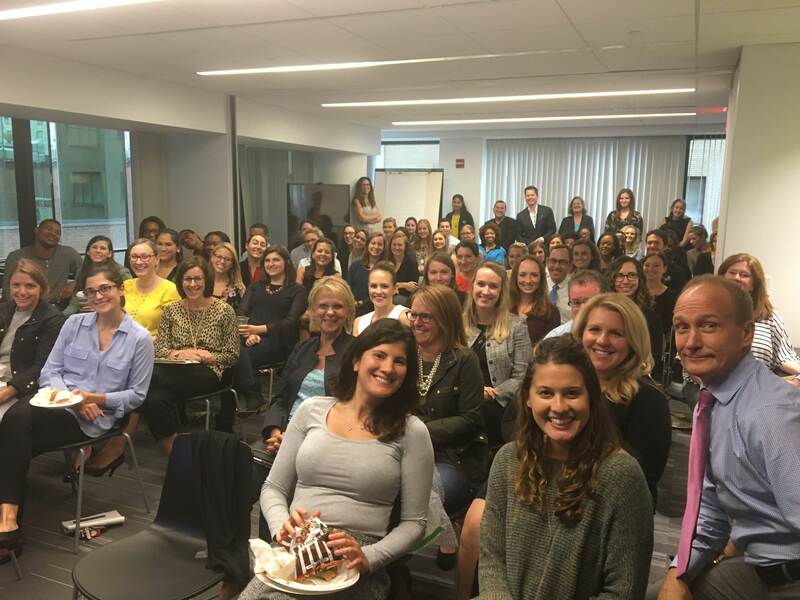 Washington, DC colleagues gather together for their monthly staff meeting. 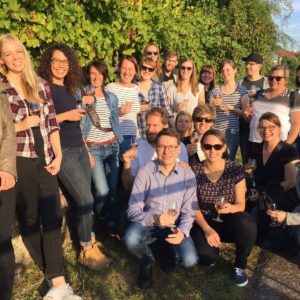 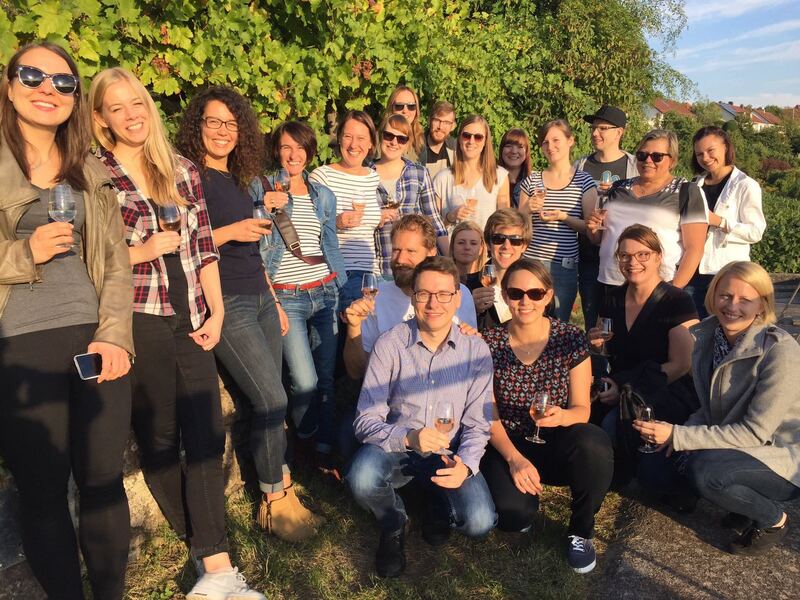 Ketchum Pleon Stuttgart colleagues took a break from the office to participate in a wine walk. 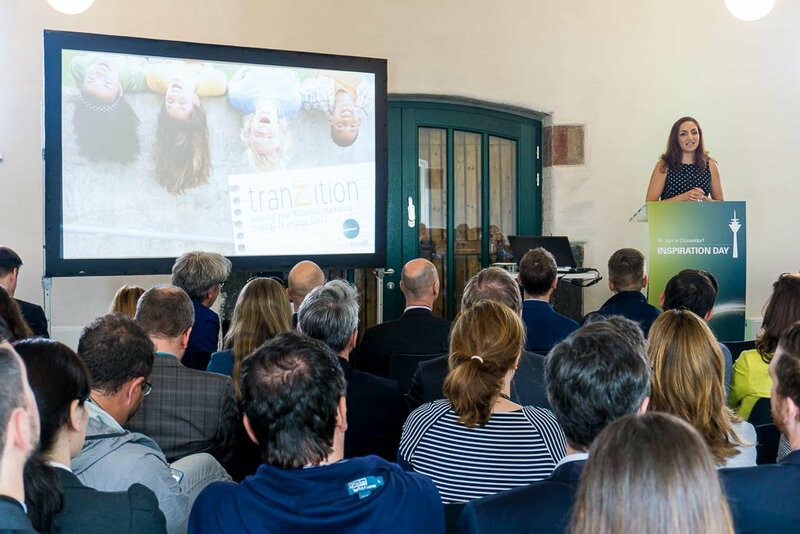 Angela Fernandez gave a presentation on Gen-Z at Ketchum Pleon’s Inspiration Day. 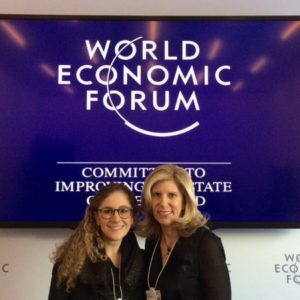 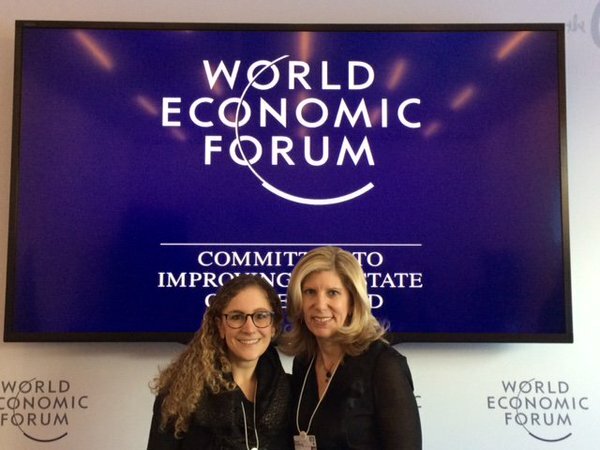 Barri Rafferty and Ketchum’s World Economic Forum secondee Laura Clementi attended this year’s WEF conference. 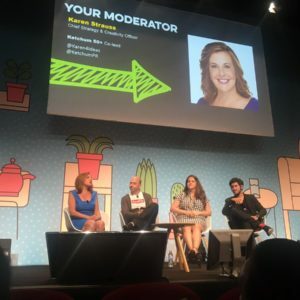 Karen Strauss led a panel at Cannes titled "Content for the Ages – All of Them." 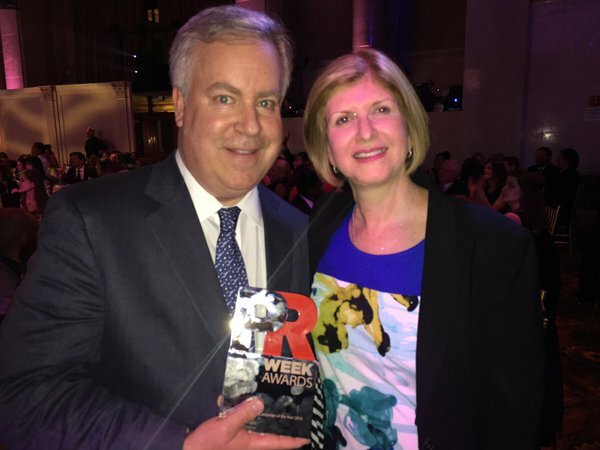 Edna Johnson from Michelin (*client) and Ketchum’s Paul Wood posed with their PRWeek Award for Community Relations Campaign of the Year for Michelin’s “Beyond the Driving Test – Michelin Puts Airs in Teens’ Tire Awareness” campaign. 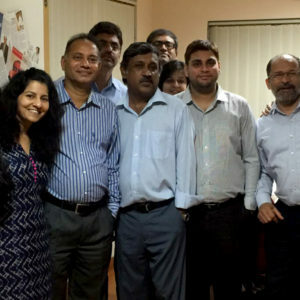 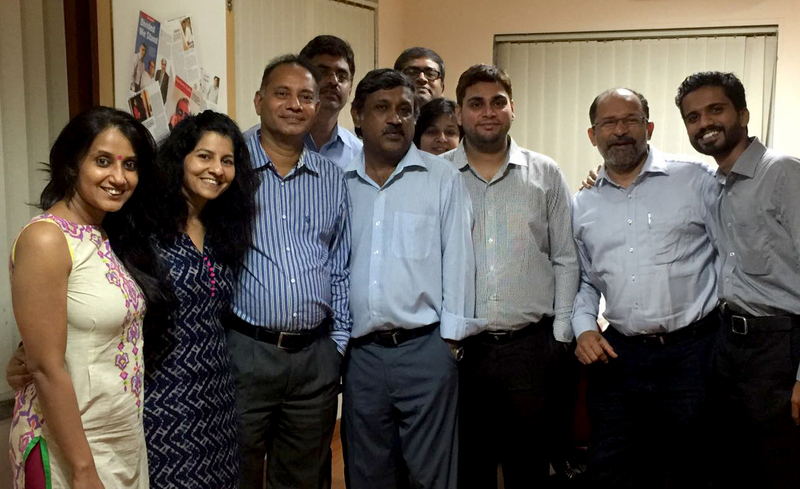 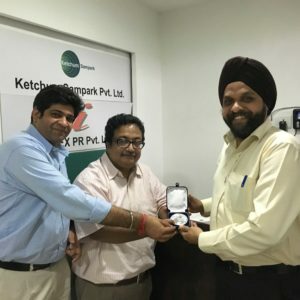 Ketchum Sampark Managing Director, N S Rajan (third from left), and colleagues celebrate Ketchum Sampark’s 22nd anniversary. Colleagues from Beijing, Shanghai and Guangzhou celebrated the Lunar New Year at a party in the office. 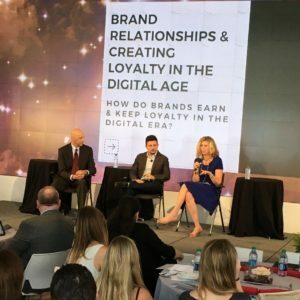 Barri Rafferty moderated a panel at the PR Council's Critical Issues Forum featuring MTV and Chris Malone, the author of The HUMAN Brand. 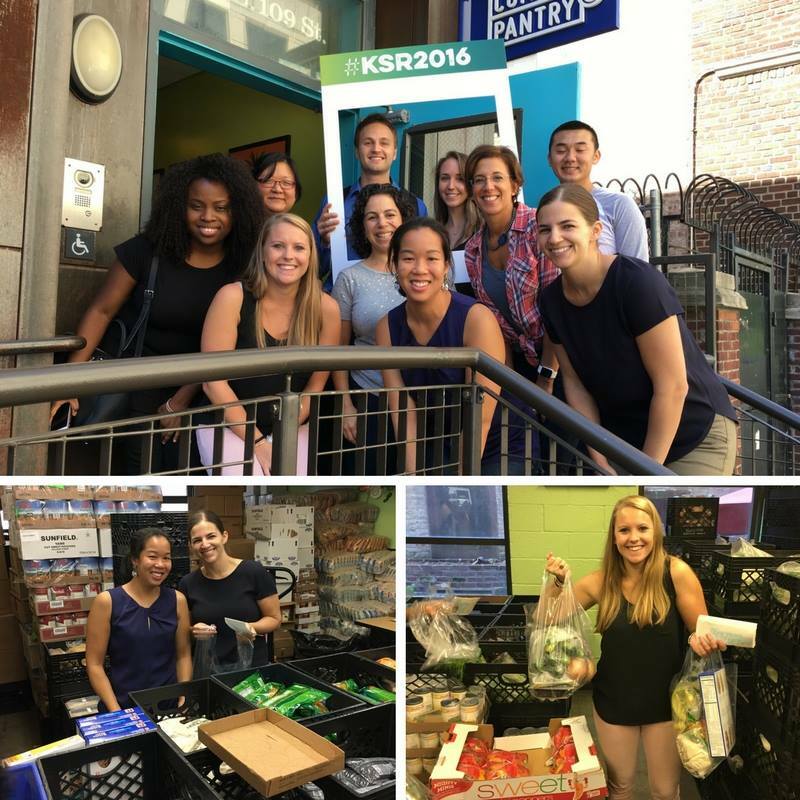 Colleagues from New York helped distribute food at the NY Common Pantry for Ketchum Social Responsibility Month. 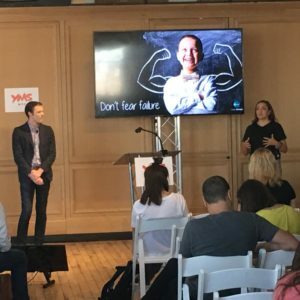 Angela Fernandez and Aaron Berger presented at the Youth Marketing Summit. 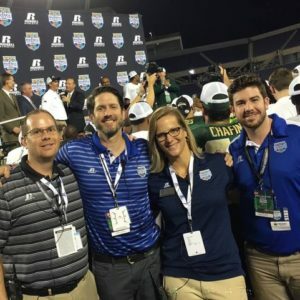 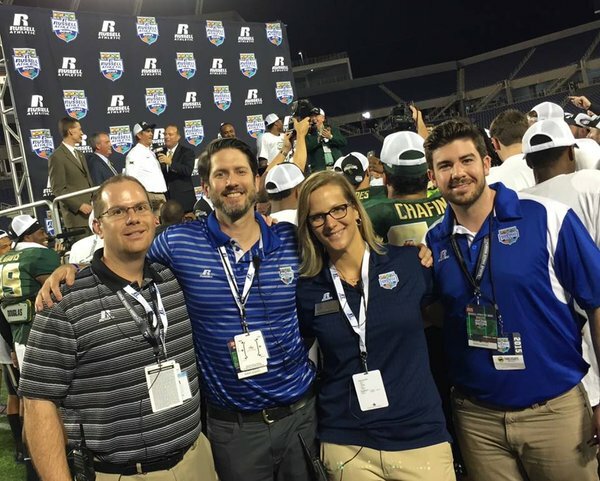 What a score: KSE colleagues joined Russell Athletic (*cl) on the field at the Russell Athletic Bowl. 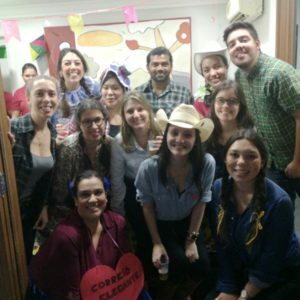 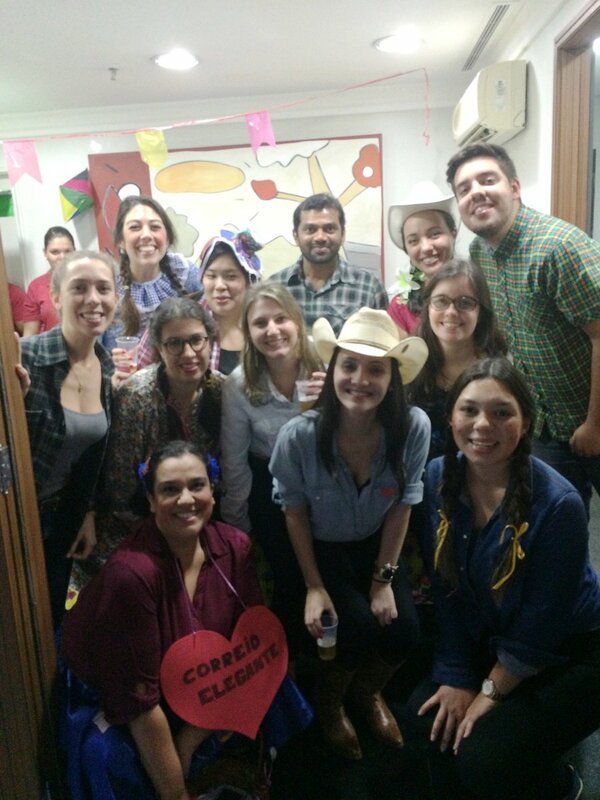 Colleagues from Brazil celebrated Festa Junina at an office party. 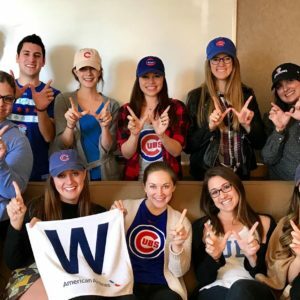 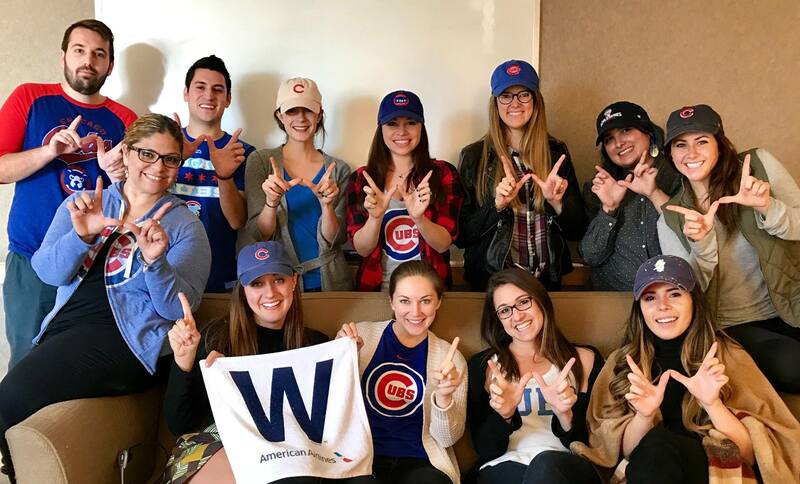 Colleagues from Chicago celebrated baseball team The Cubs first World Series title in 108 years. 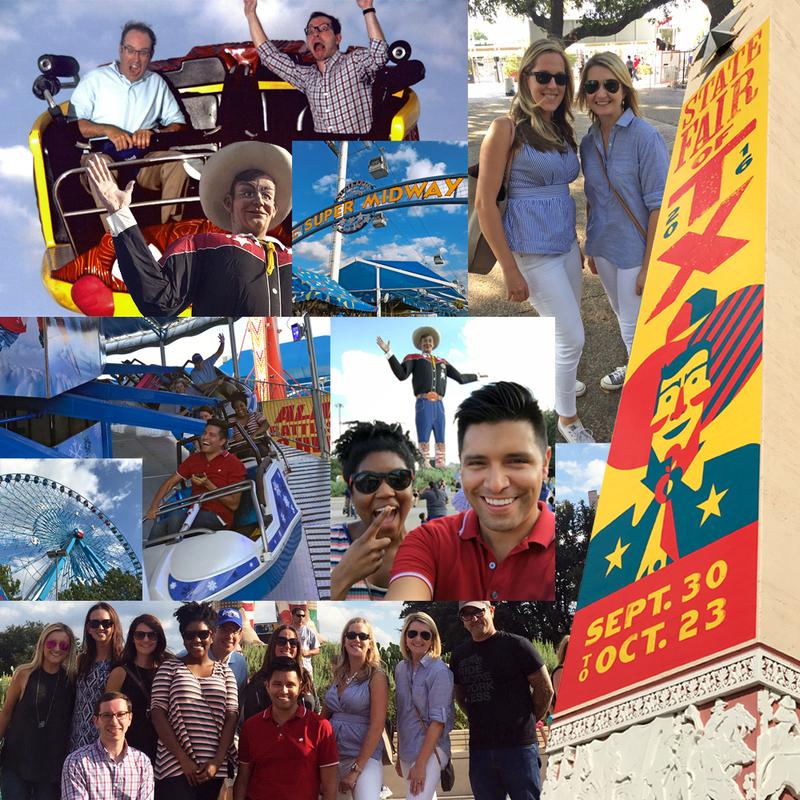 Dallas colleagues enjoyed a day out at the Texas State Fair. 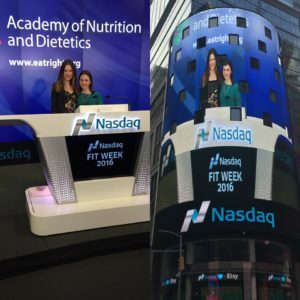 Jaime Schwartz and Maggie Michalczyk promoted the Academy of Nutrition & Dietetics Kids Eat Right Month and FIT by ringing the Nasdaq bell. 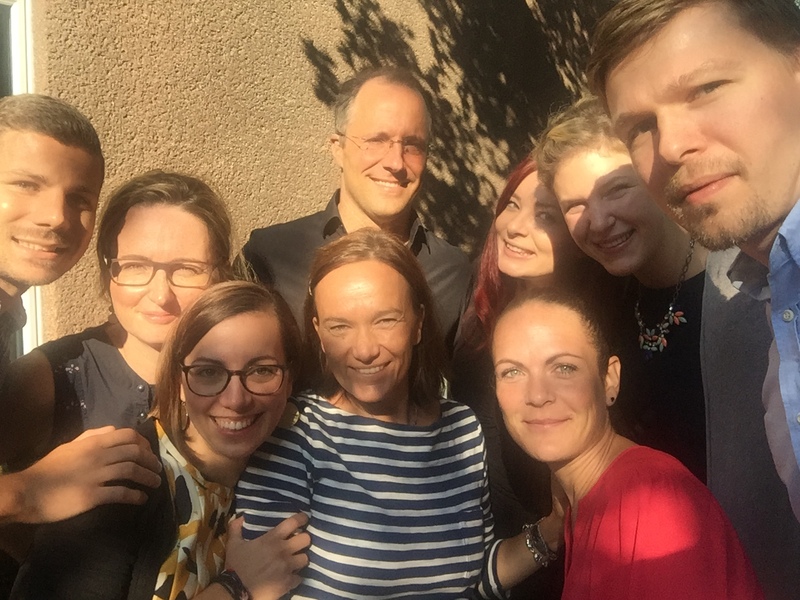 Colleagues enjoyed some time in the sun after the European Food Leaders Meeting. 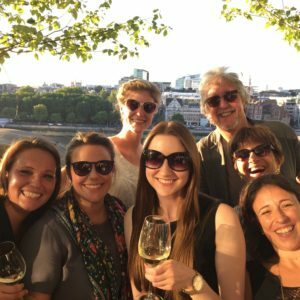 Building bridges across the world, our team in Italy welcome their visiting Ketchum Global Scholar Casey Myburgh. 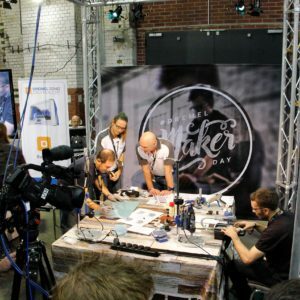 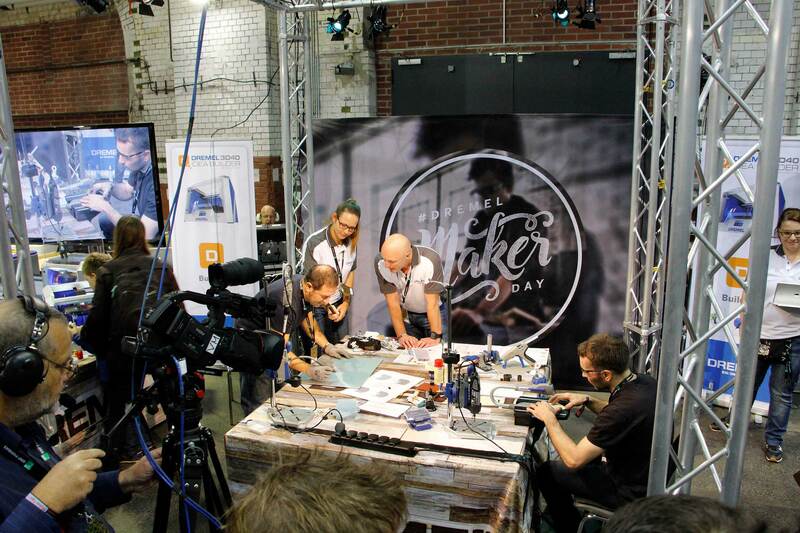 Ketchum Pleon helped their client Dremel put together their Maker Day. 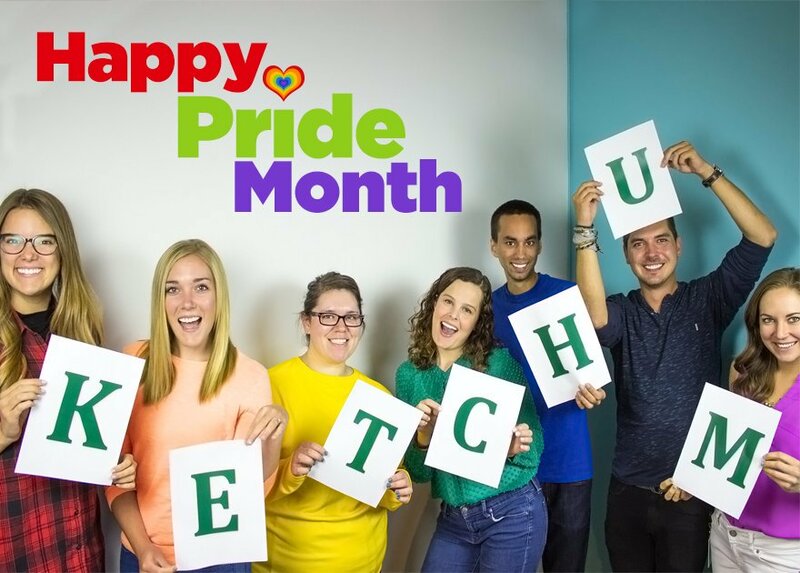 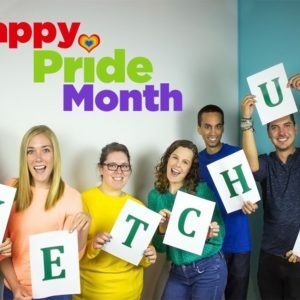 Ketchum colleagues came together to celebrate Pride Month in Chicago. 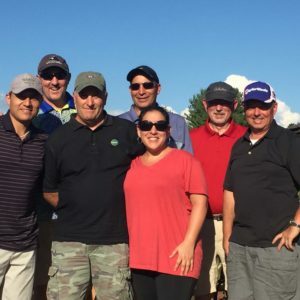 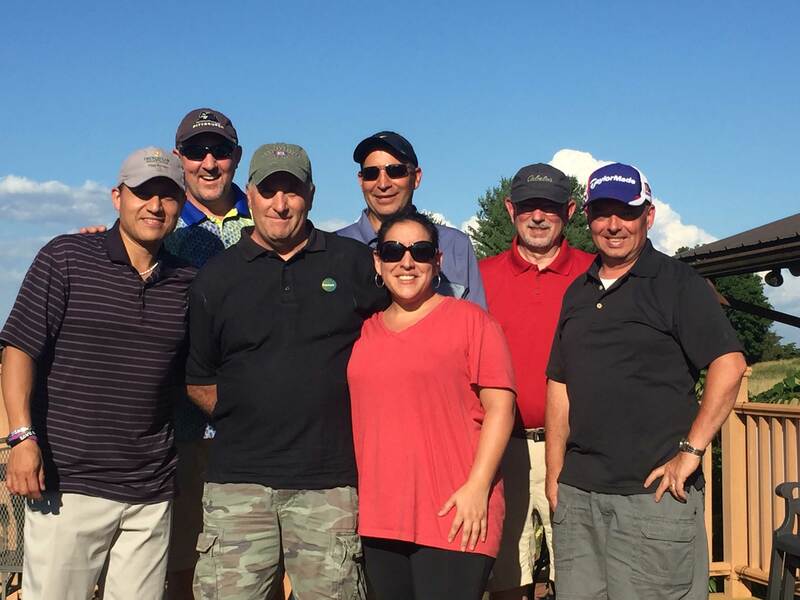 Our amazing IT team had a blast at the Sportsman's Golf Course in Harrisburg, Pennsylvania. 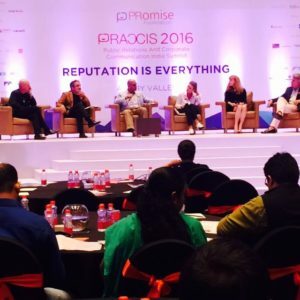 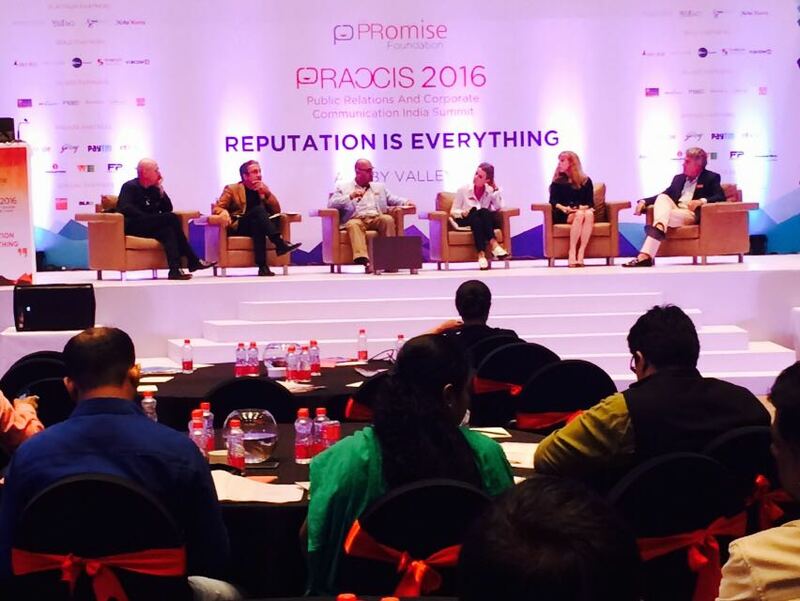 Jon Higgins shared insights on reputation management as a keynote speaker at PRaxis 2016. 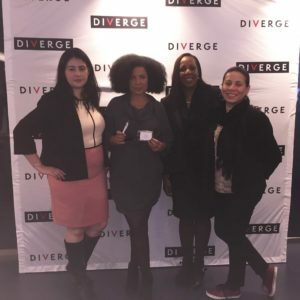 Lindsay Wagner was recognized by the NAACP's Image Awards for her work with Justice League NYC, a rapid-response criminal justice task force committed to awakening moral and community consciousness. 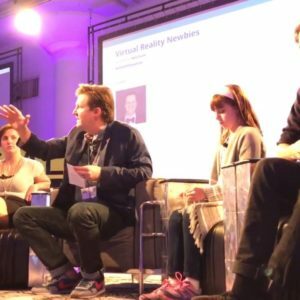 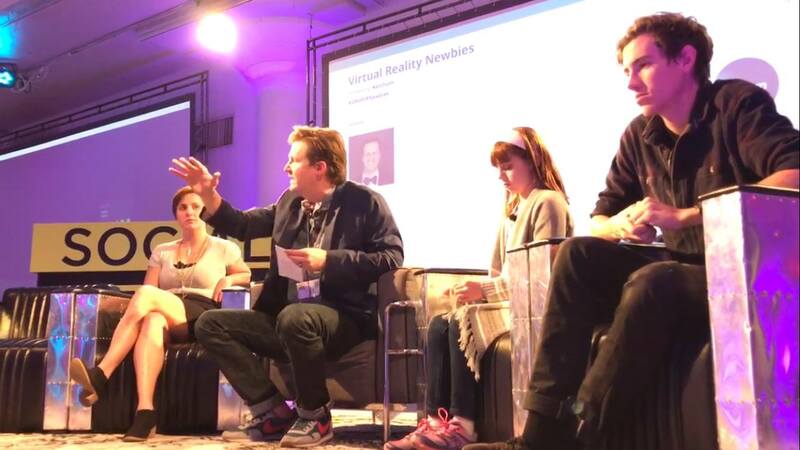 Ben Foster, SVP, Digital, invited VR first-timers on stage to experiment with the technology at a Social Media Week Chicago panel. 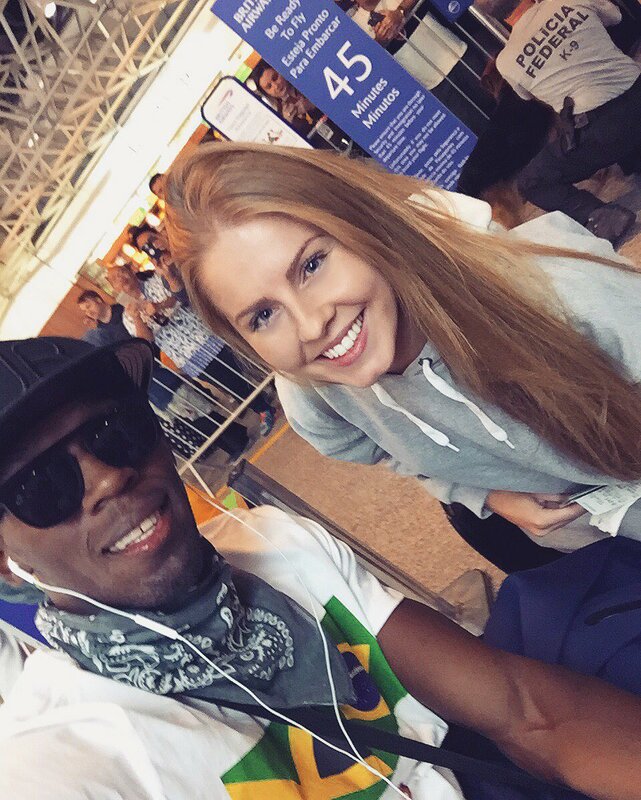 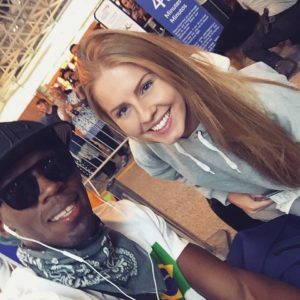 KSE’s Hollie Mellia met Gold Medal winner Usain Bolt while working in Rio for the Olympics. 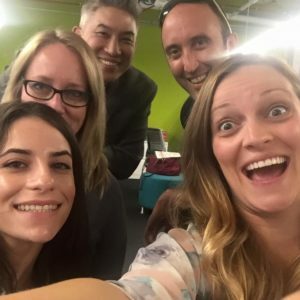 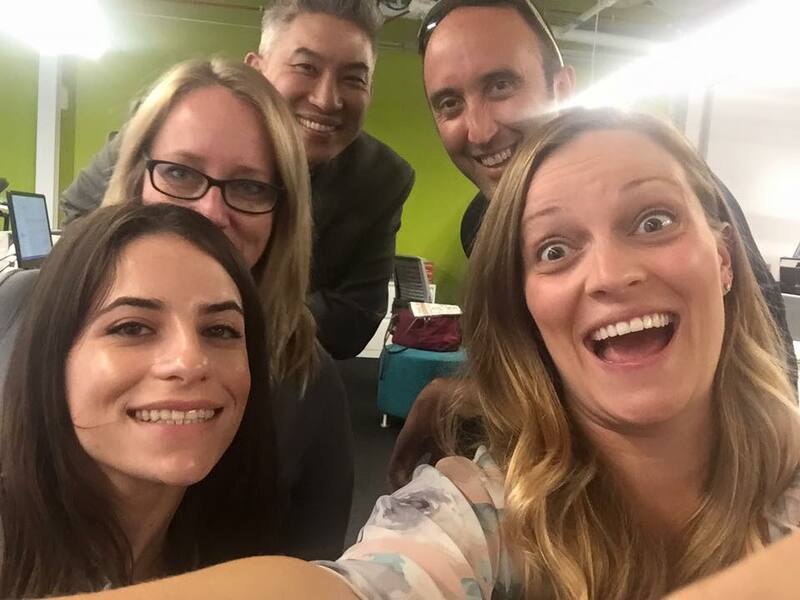 Ketchum West’s Digital team is always all smiles when in the office. 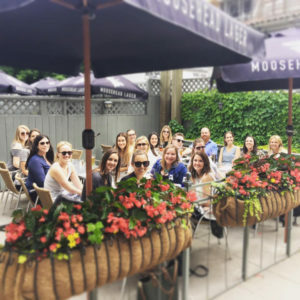 The Ketchum Canada team enjoys an outdoor summer get together. 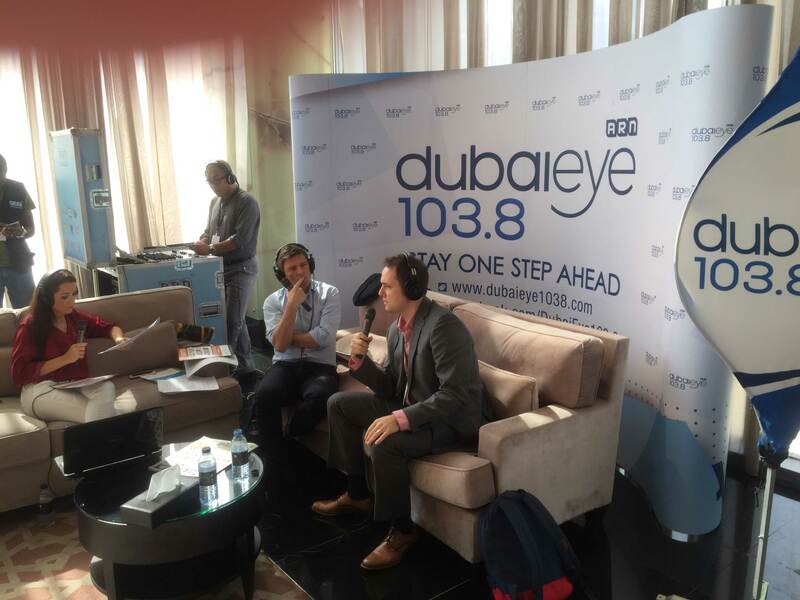 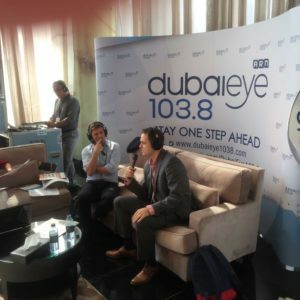 Ben Levine discussed the importance of human analysis given the rise of automation & digital research tools with Dubai Eye 1038FM at PRMS16 in Dubai. 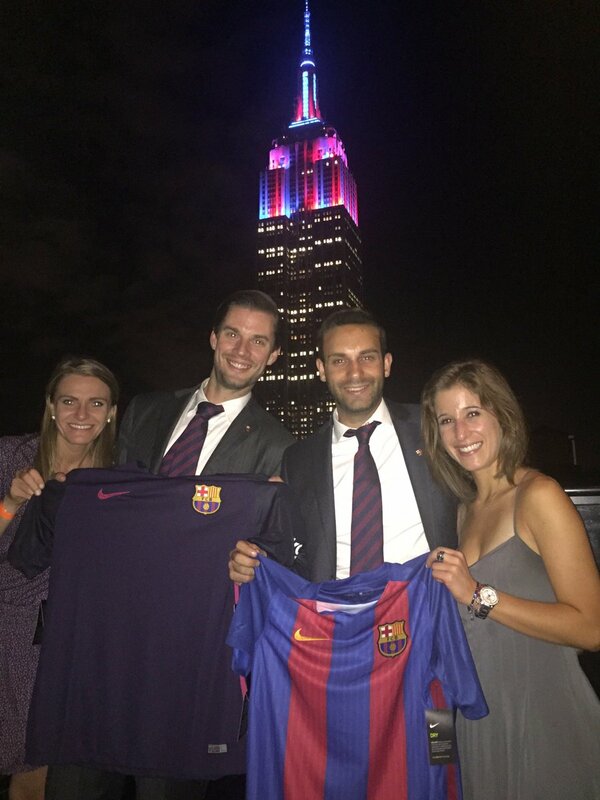 KSE colleagues celebrated the lighting of the Empire State building on behalf of FC Barcelona. 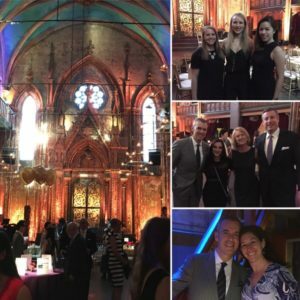 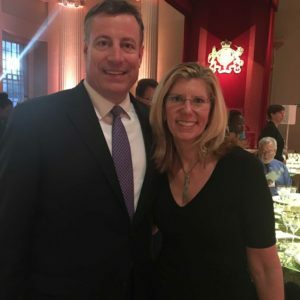 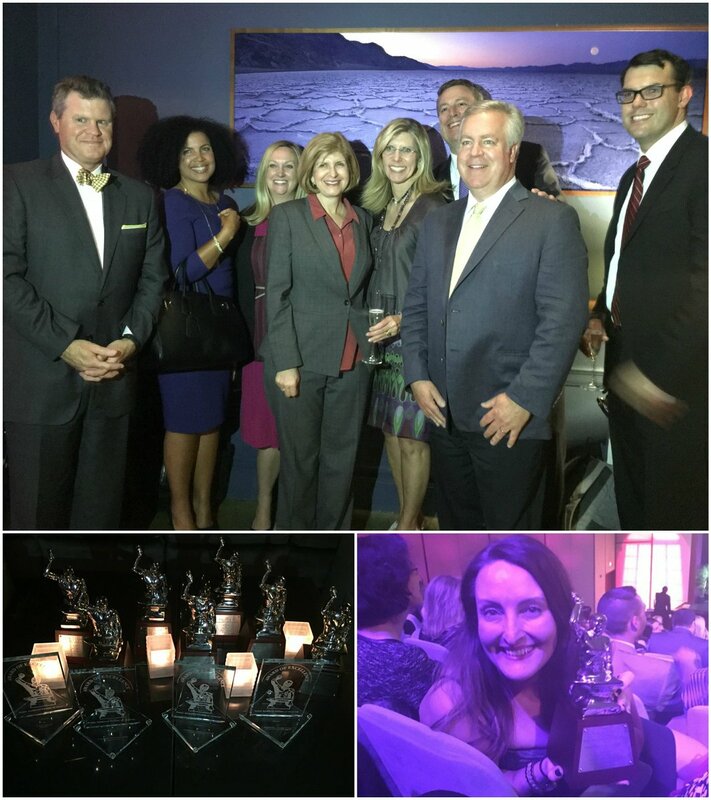 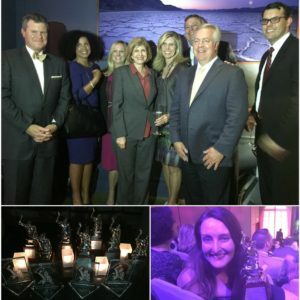 Ketchum colleagues and clients celebrated at the PRSA Silver Anvils this year after winning several awards with Michelin, ConAgra, Aspen Dental Management, Inc. and H&R Block. Ketchum has more Silver Anvil Awards than any other agency in history. 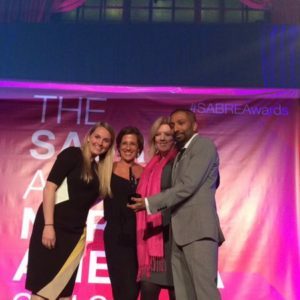 Truth Initiative and Ketchum were awarded a SABRE Award for Marketing to Youth at this year’s North American SABRE Awards. 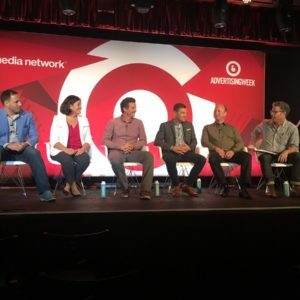 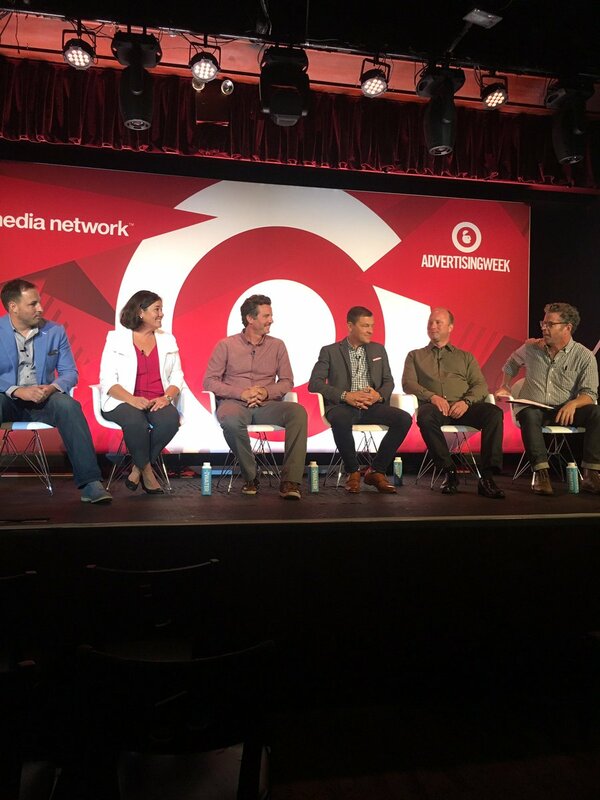 Ketchum Chicago colleagues presented at AdCamp. 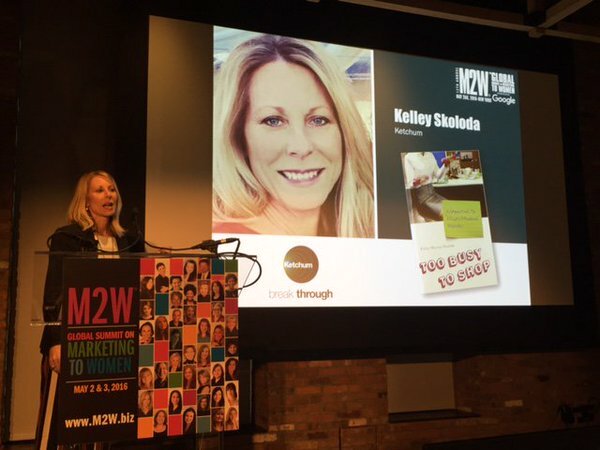 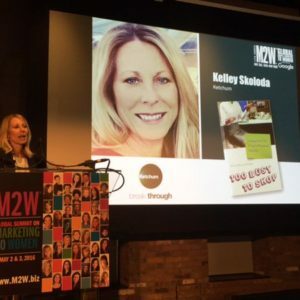 Kelley Skoloda shared our latest Marketing to Women research, and its implications for marketers, at The Marketing to Women Conference. 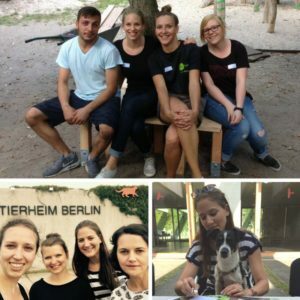 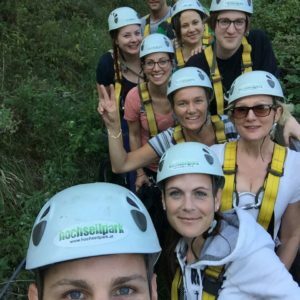 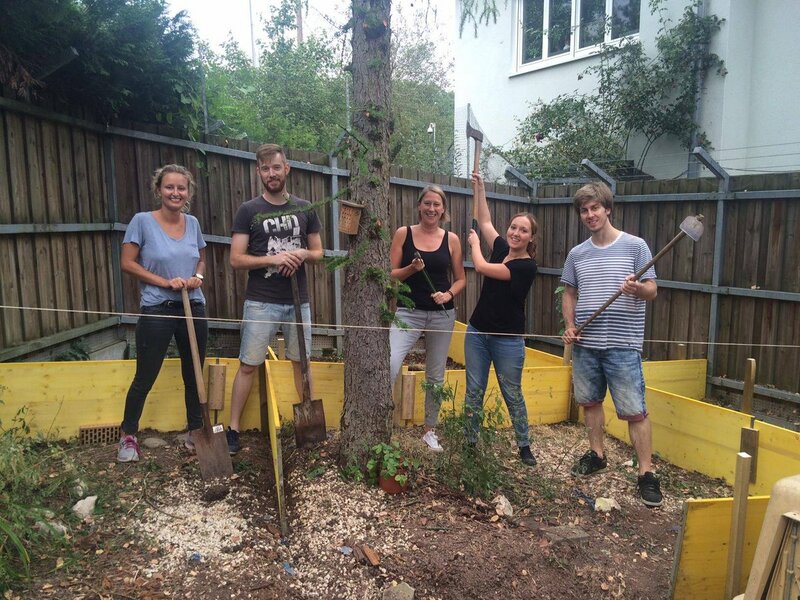 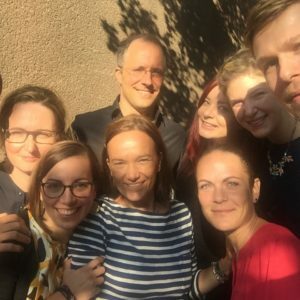 As part of Ketchum Social Responsibility Month, our Berlin colleagues lent a hand to a teaching project, welfare organization and an animal shelter. 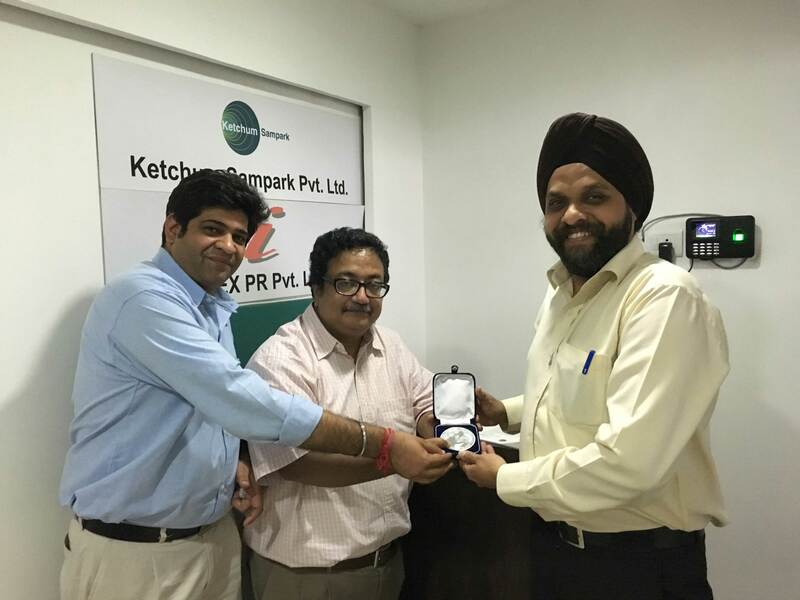 Harpreet Marwah celebrated his five year anniversary at Ketchum Sampark with colleagues Rajat Chandihok & Surajeet Dasgupta. 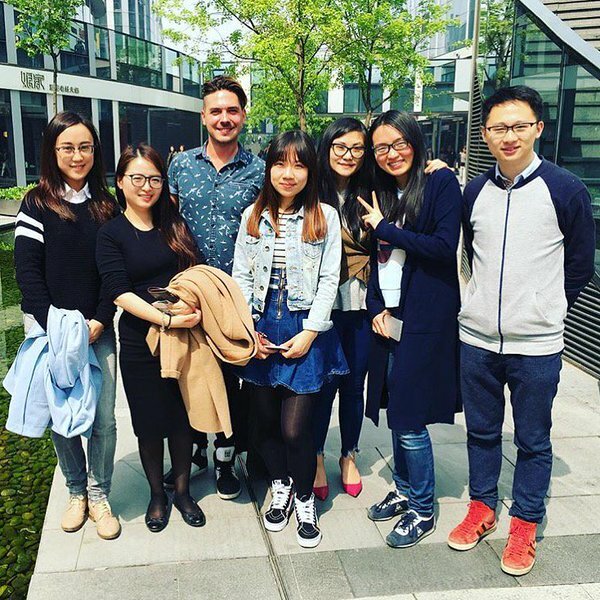 Ketchum Scholar Jeffrey Campbell spent time with our corporate team in beautiful Beijing. 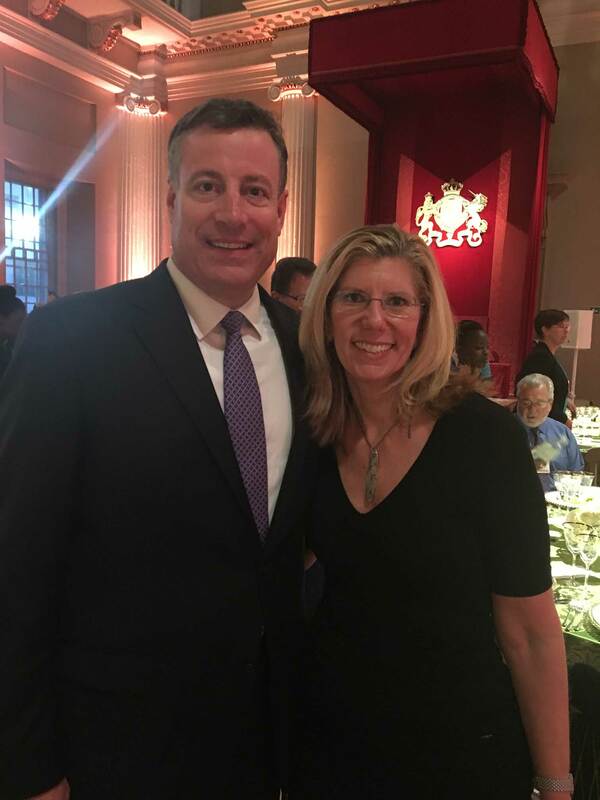 Rob Flaherty and Barri Rafferty after the Arthur Page Society Annual Conference in London, chaired by Rob. 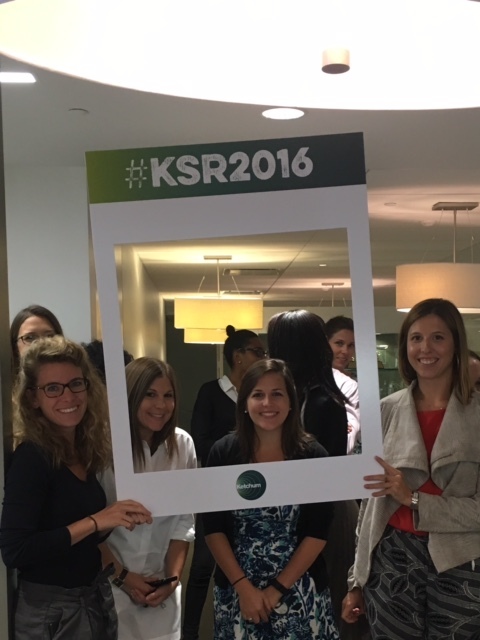 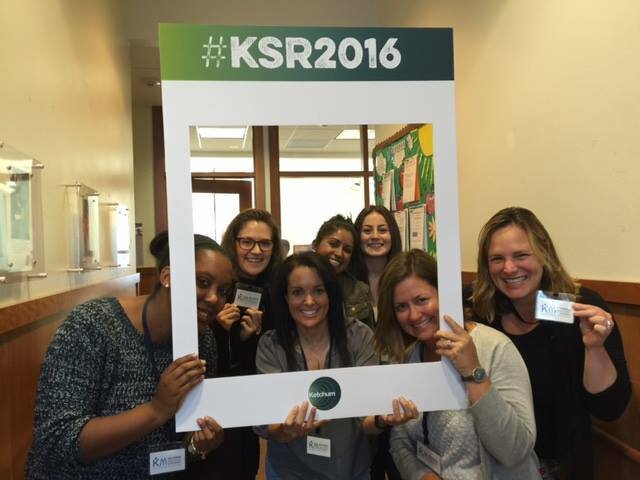 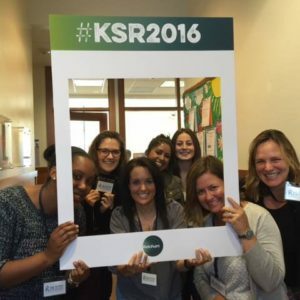 Washington, DC, colleagues were excited to participate in KSR Month. 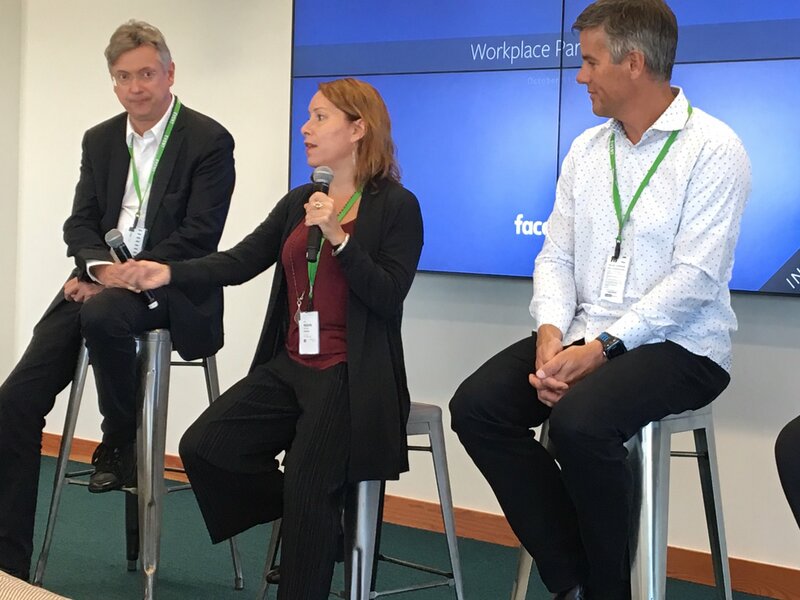 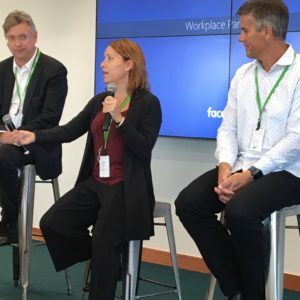 Michelle Mahony shared why understanding human behavior is key to adoption & engagement at the Workplace by Facebook Partner Q&A in London. 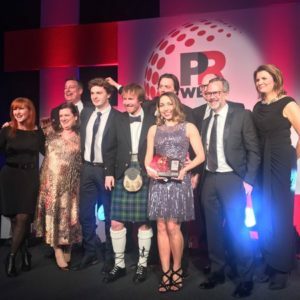 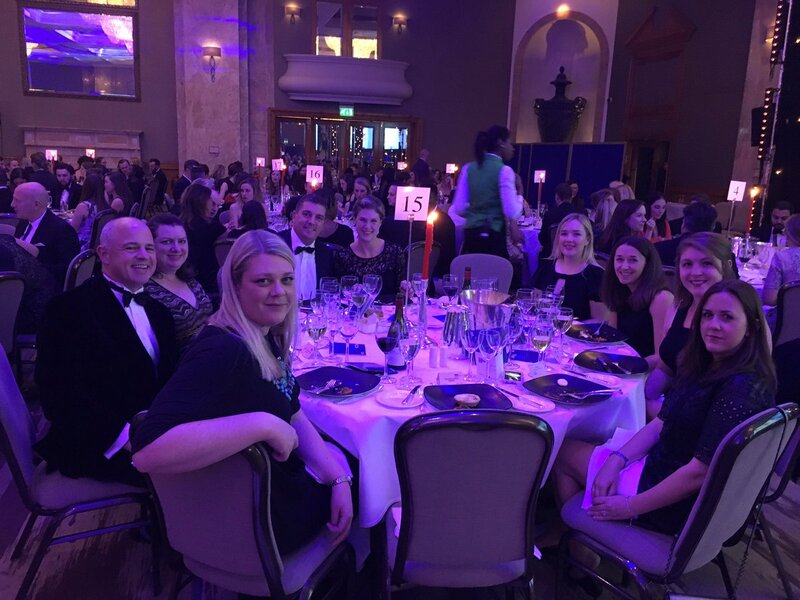 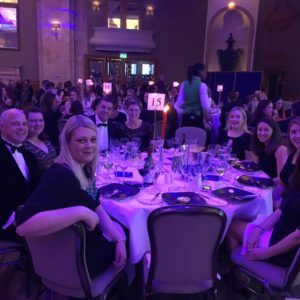 Ketchum London colleagues attended the PRCA Awards where they were shortlisted for two awards for their work with IBM and World Hepatitis Alliance. 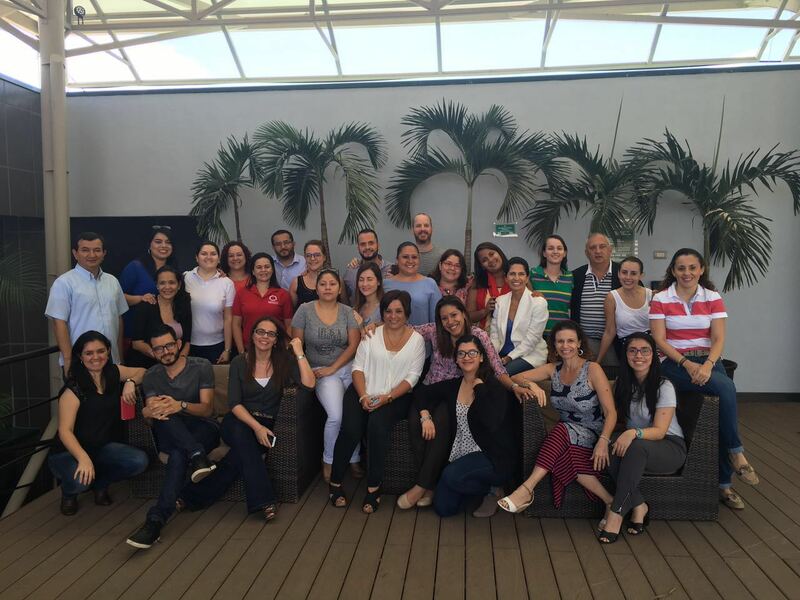 Ketchum’s Organizational Effectiveness Team met with our colleagues in Costa Rica for a strategic planning and visioning session. 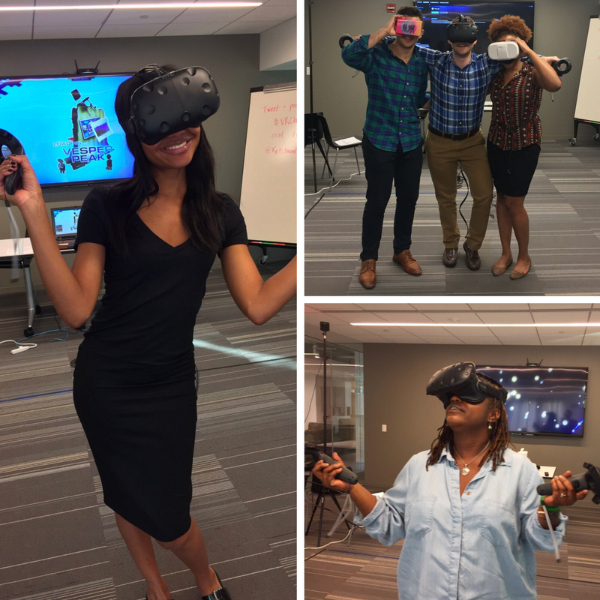 Making virtual a reality in Washington, DC, our colleagues enjoyed experimenting with the latest tech equipment. 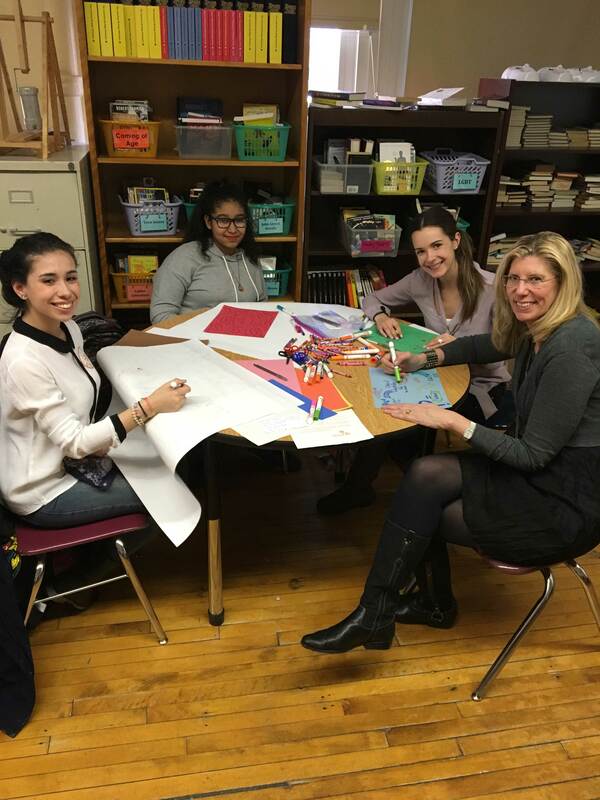 Ketchum President Barri Rafferty gets crafty at a Step Up event in Chicago. 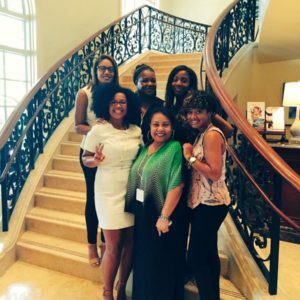 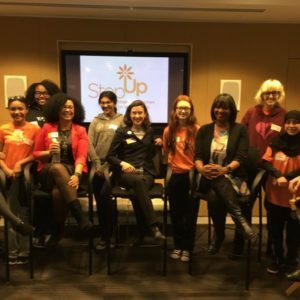 Barri sits on the executive board for Step Up, whose mission is to empower girls from under-resourced communities to become confident, college-bound and career focused. 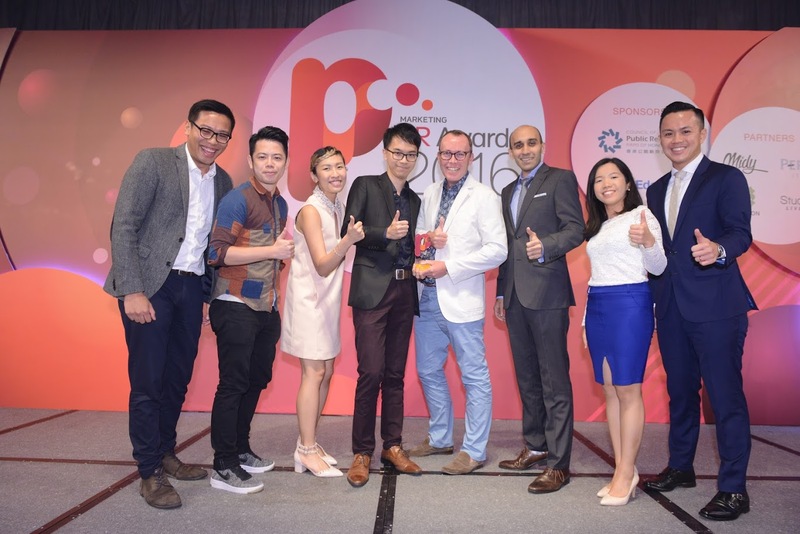 Our Singapore team brought home four awards at the 2016 Marketing Magazine PR Awards. 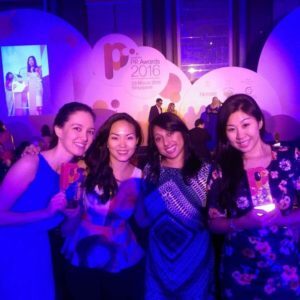 Pictured from l to r: Rosemary Teow; Soon Lishan; Sarada Chellam; Brenda Yeo. 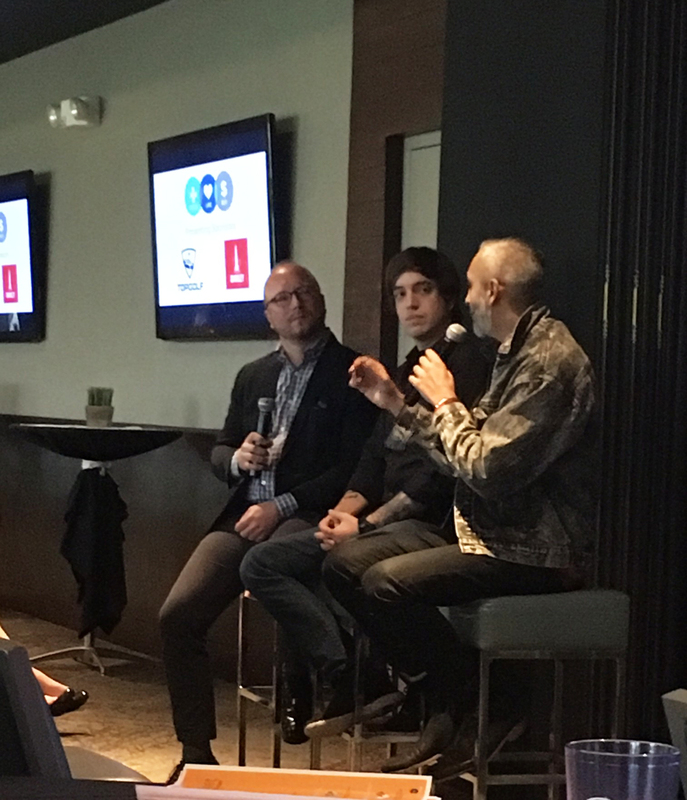 Ketchum helped Wendy's (*cl) score big at Rolling Stone's #SB50 Big Game Bash in San Francisco, serving hamburgers to attendees. 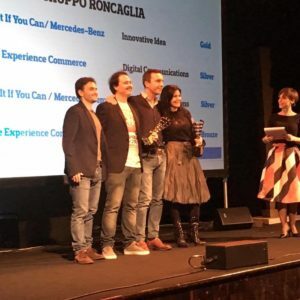 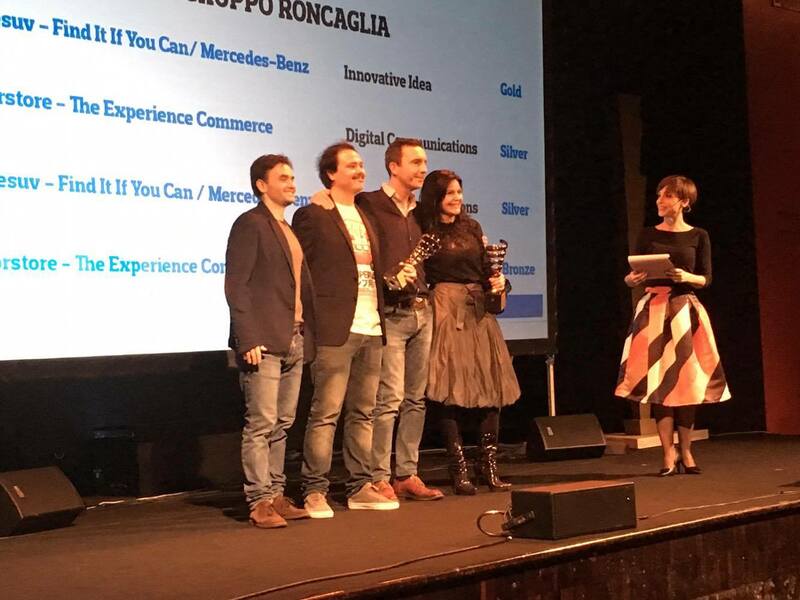 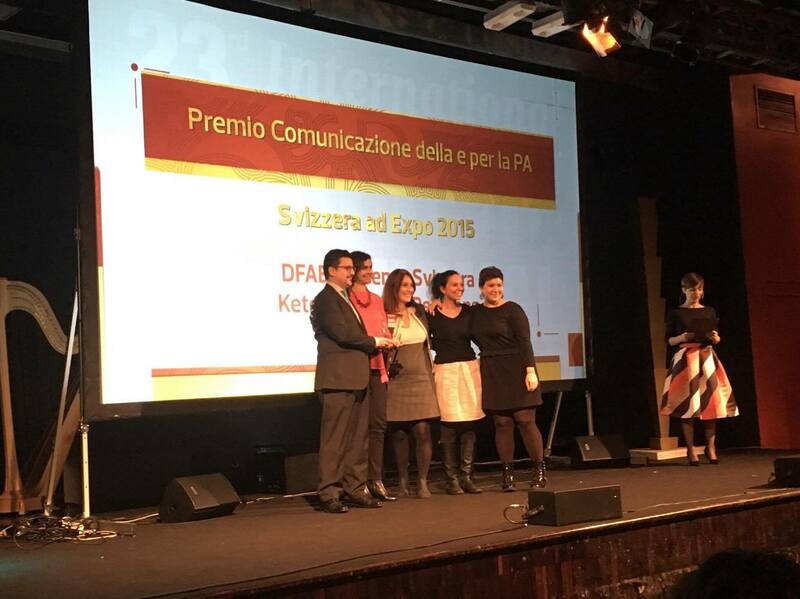 Ketchum Italy picked up four awards at the IMC Awards and Grand Prix Relational Strategies. 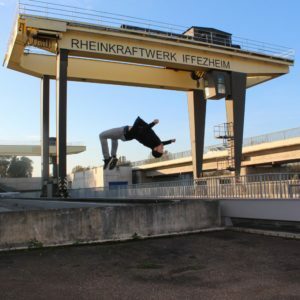 Ketchum Pleon worked with EnBW (*cl) to take photos of people performing parkour for their Instagram feed. 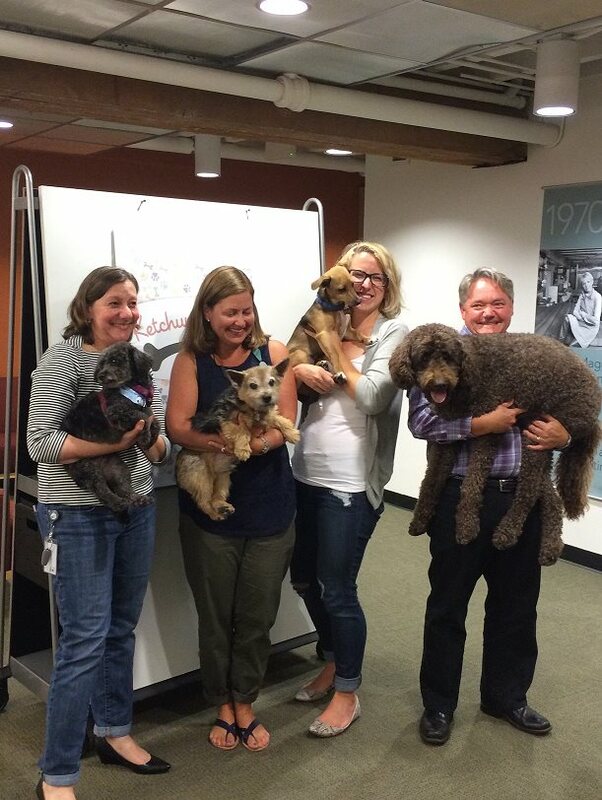 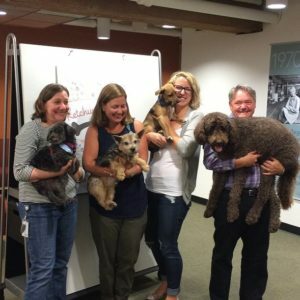 Ketchum San Francisco brought some furry colleagues to work during Bring Your Dog to Work Day. 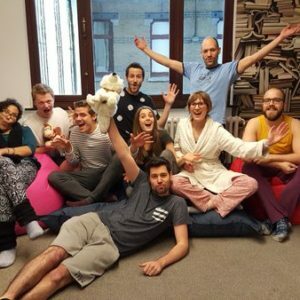 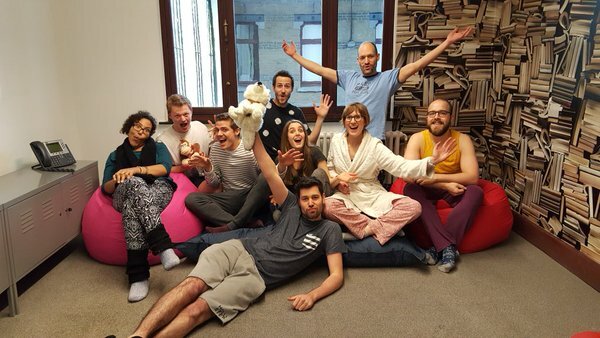 Getting ready for work was made a bit easier for our colleagues in Brussels when they had pj day in the office. 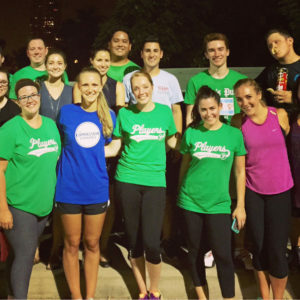 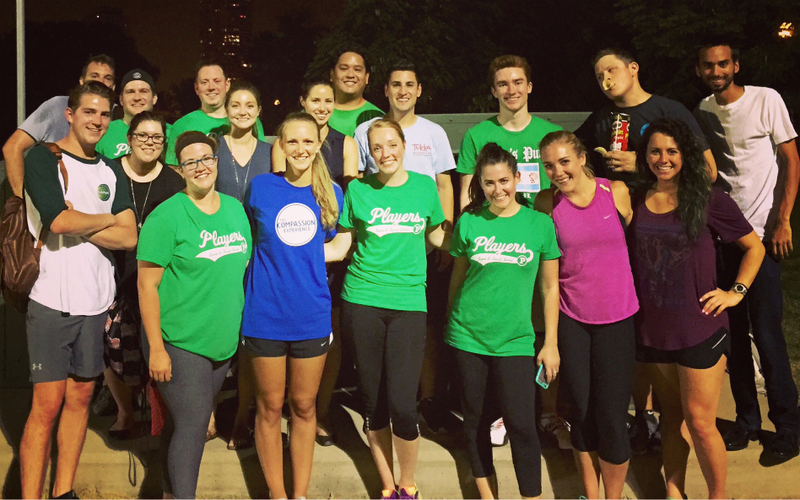 Our Chicago office’s kickball team rose in the ranks this year and even made the playoffs in their league. 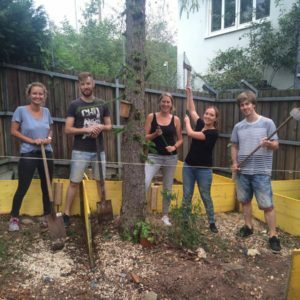 Our colleagues in Stuttgart had a blast building a new turtle sanctuary at a local animal shelter. 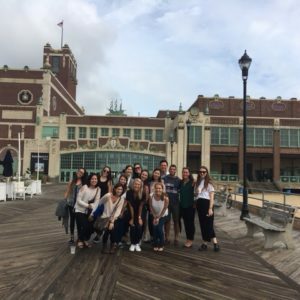 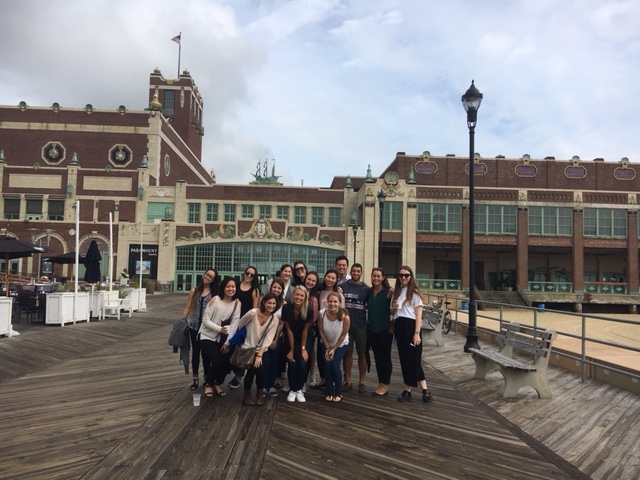 The Ketchum Global Research and Analytics team enjoyed a team outing in Asbury Park, New Jersey. 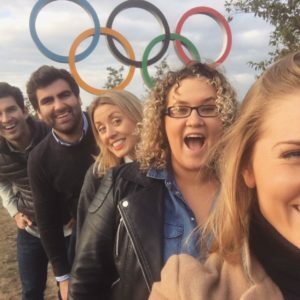 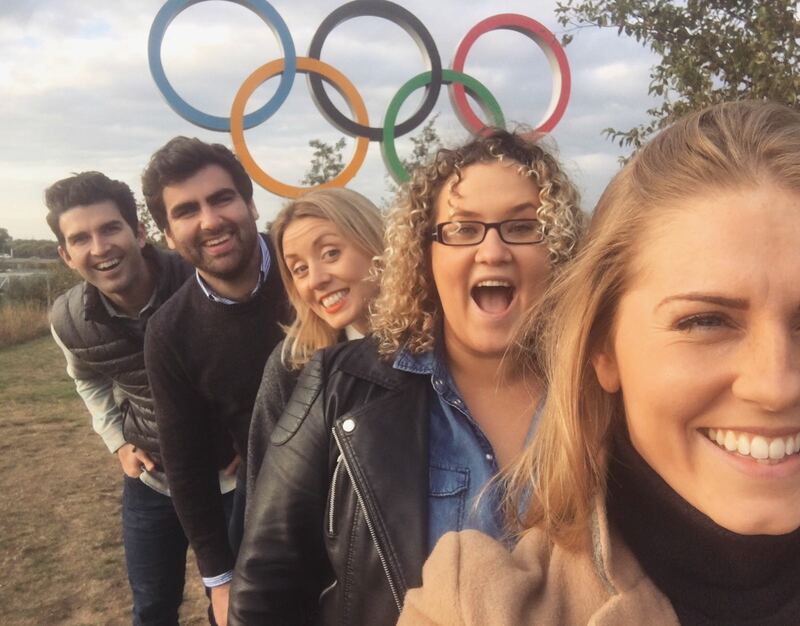 Following their success representing Ketchum clients at the 2016 Olympics, the Ketchum Sports and Entertainment team enjoyed an outing to the Queen Elizabeth Olympic Park in London. 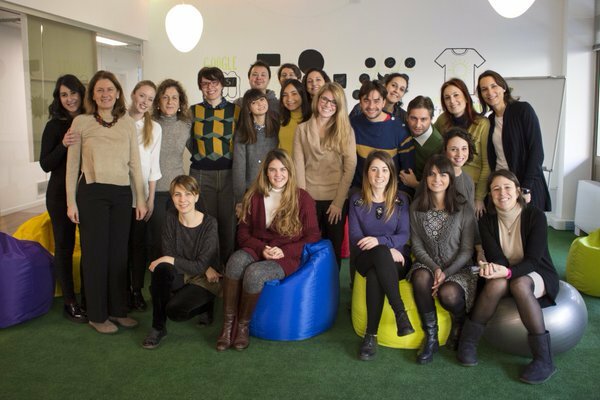 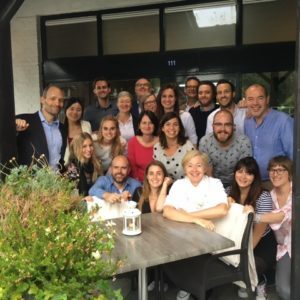 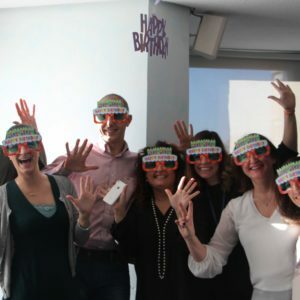 The Madrid Public Affairs team celebrated their 10-year anniversary in 2016. 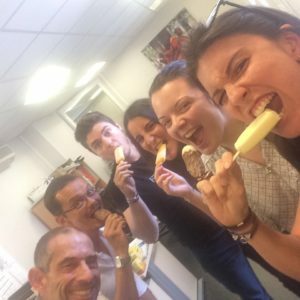 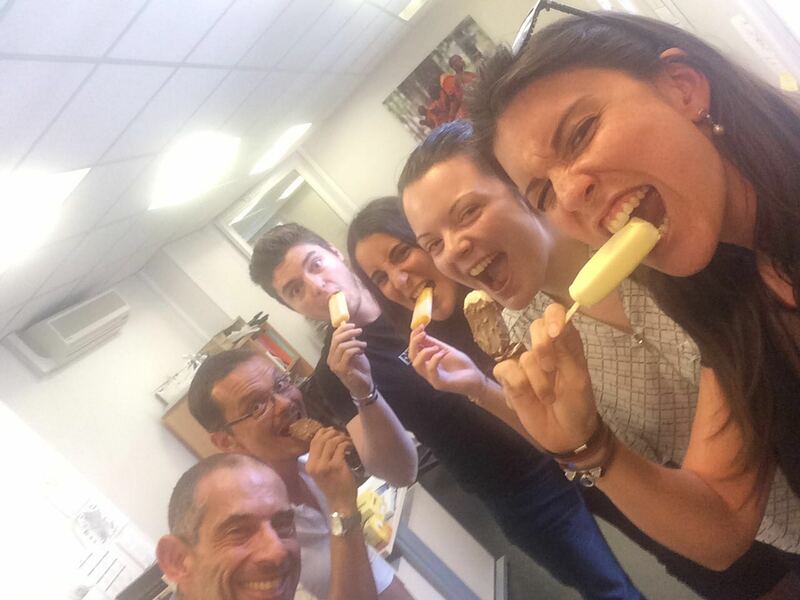 Our colleagues in Paris cooled down in the summer sun with ice-creams. 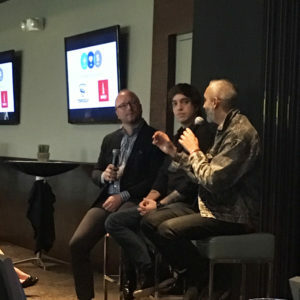 Bill Reihl presented at this year’s Share.Like.Buy conference. 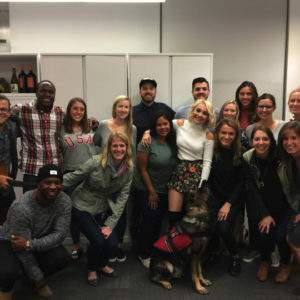 Singer-songwriter RaeLynn with our Ketchum Sports and Entertainment colleagues in New York. 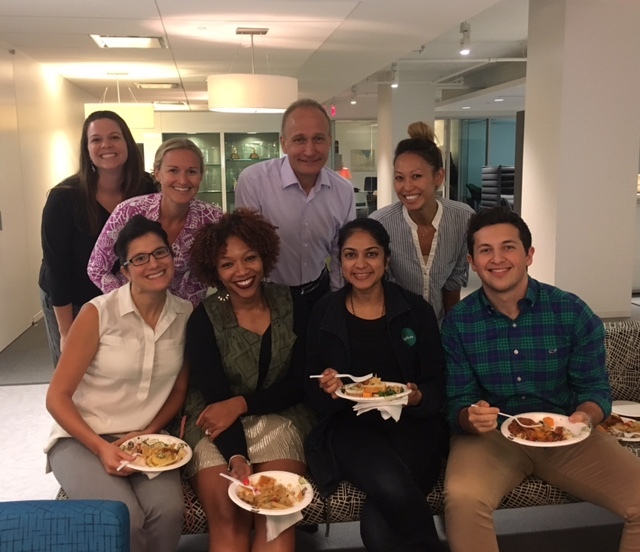 Colleagues from our Washington DC office came together for the Klub Ketchum monthly happy hour. 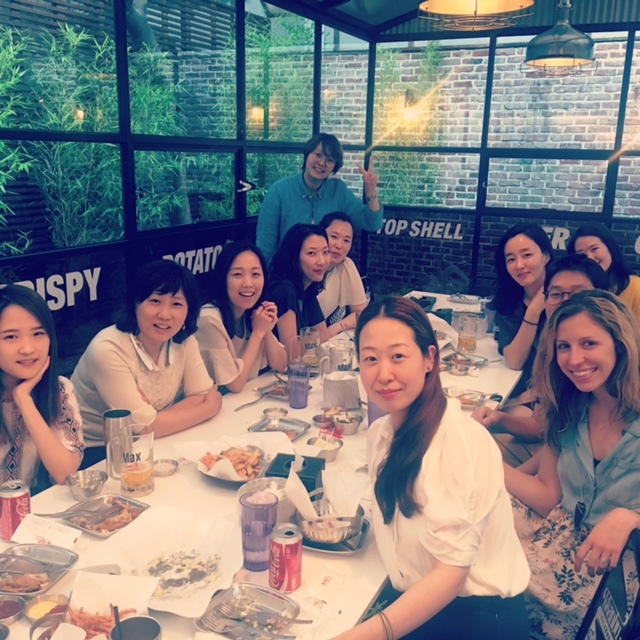 Colleagues from Capstrat, a Ketchum complementary business, and Ketchum enjoy a team dinner. 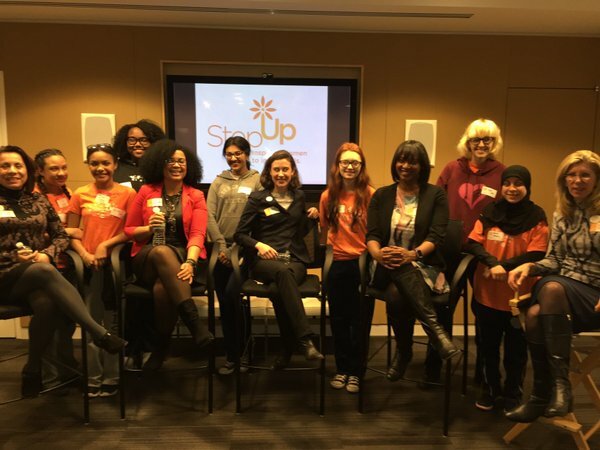 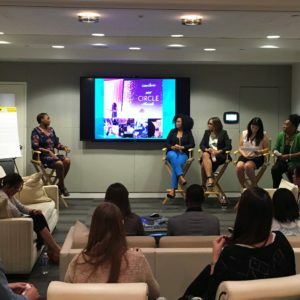 Ketchum held a Step Up Women’s Network panel discussion & networking event for teens on the importance of exposure to different career paths. 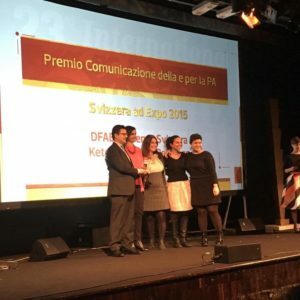 Colleagues from Ketchum Italy accepted an Integrated Marketing Communications Award for their work on the New Perspectives on the Prada Group campaign. 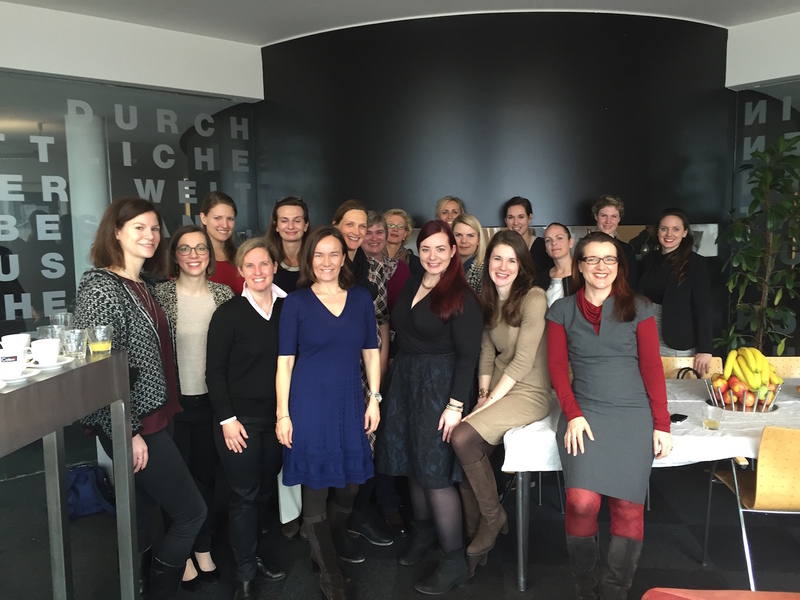 Ketchum Publico colleagues on an agency excursion to Salzburg. Our San Francisco colleagues played, read and did arts and crafts with kids at Kai Ming Head Start, a free preschool for low-income families, for KSR Month. 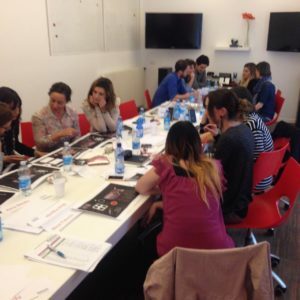 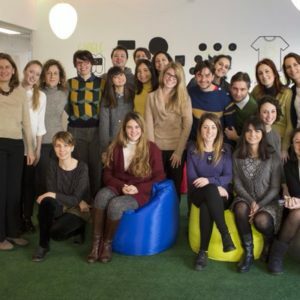 Ketchum Italy participated in a visual storytelling training with Ketchum Pleon’s Petra Sammer. 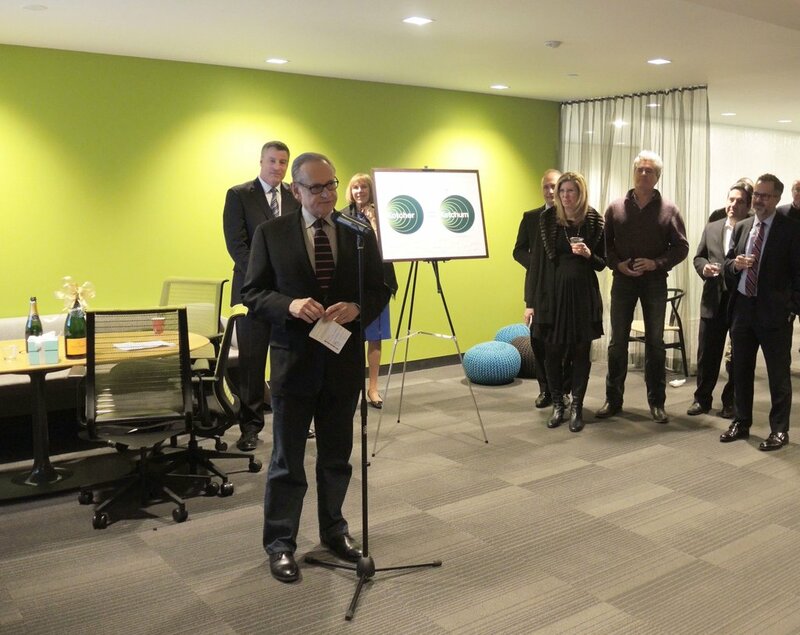 Colleagues attended a benefit for Room to Read, Ketchum’s pro bono partner, in New York. 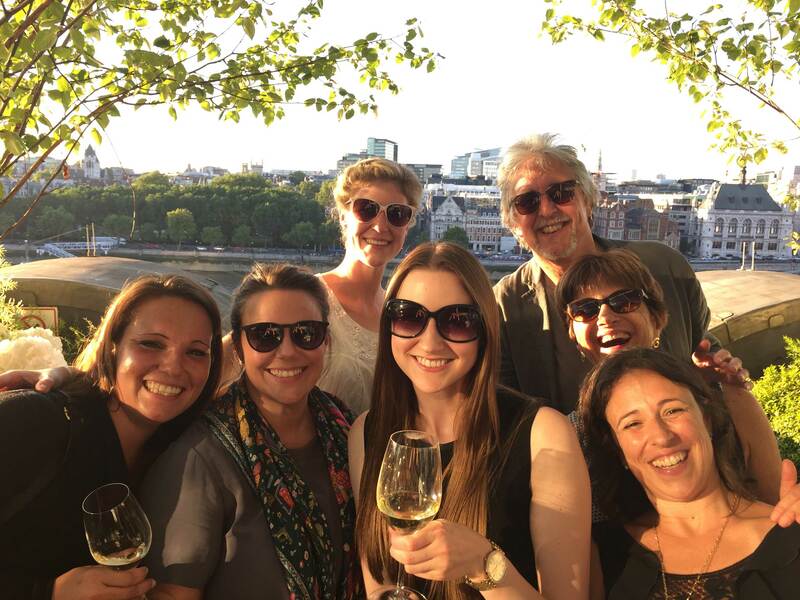 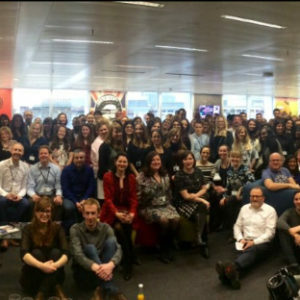 Colleagues in London celebrated their new office space in Bankside with a happy hour and group photo. 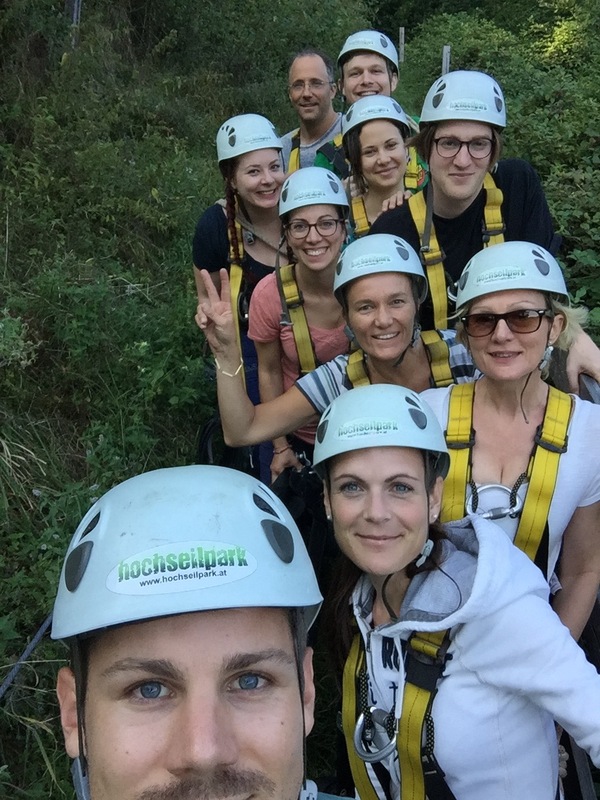 Colleagues from Brussels enjoyed a team outing. 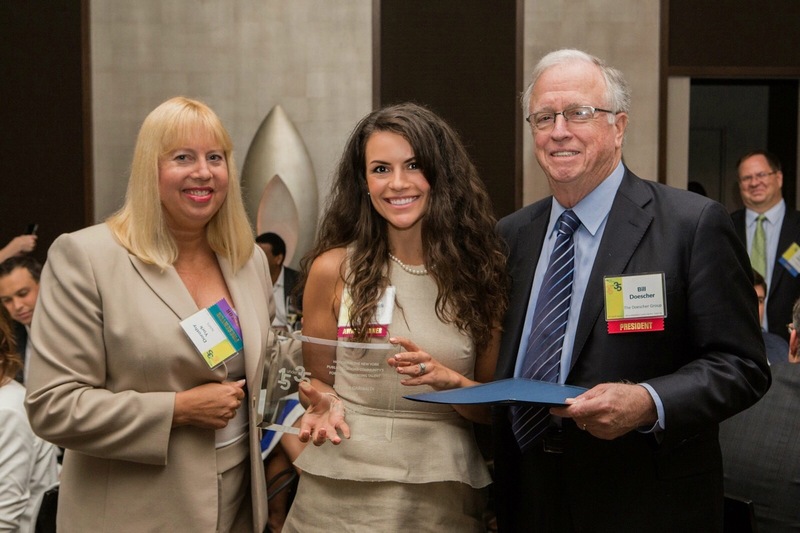 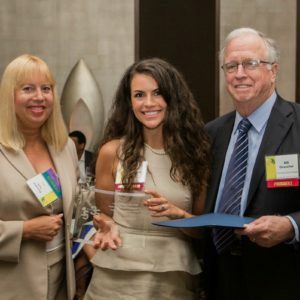 Bettina Garibaldi was named one of the PRSA NY Chapter’s 15 under 35. 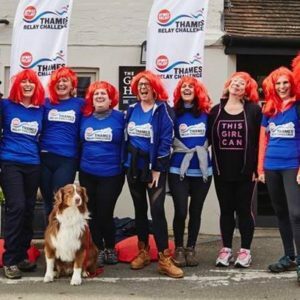 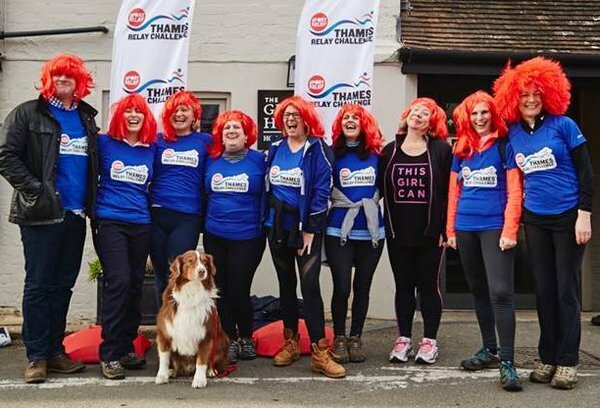 London CEO Denise Kaufmann and her troop of fiery red-heads and Rusty the dog took part in the Thames Relay Challenge for Sports Relief. Ketchum Toronto launched the Dare Candy Truck tour for client Dare Foods on a gorgeous day in August. 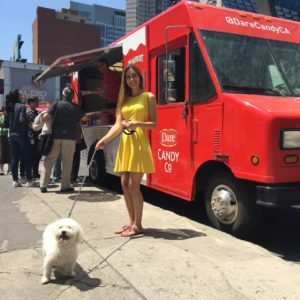 Who doesn’t love free candy!? 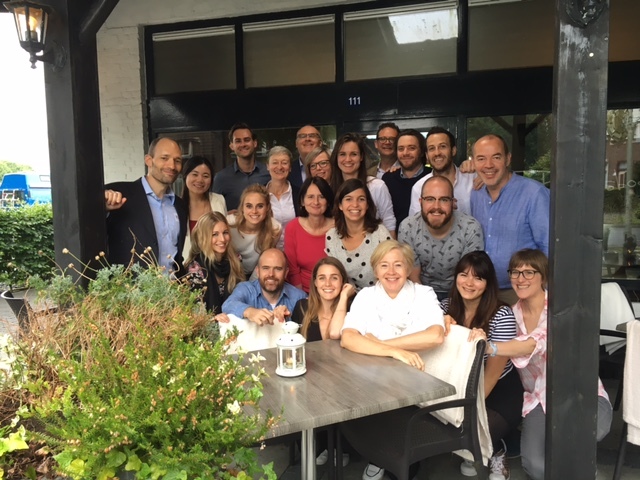 Ketchum Publico colleagues took a break during their team strategy day. 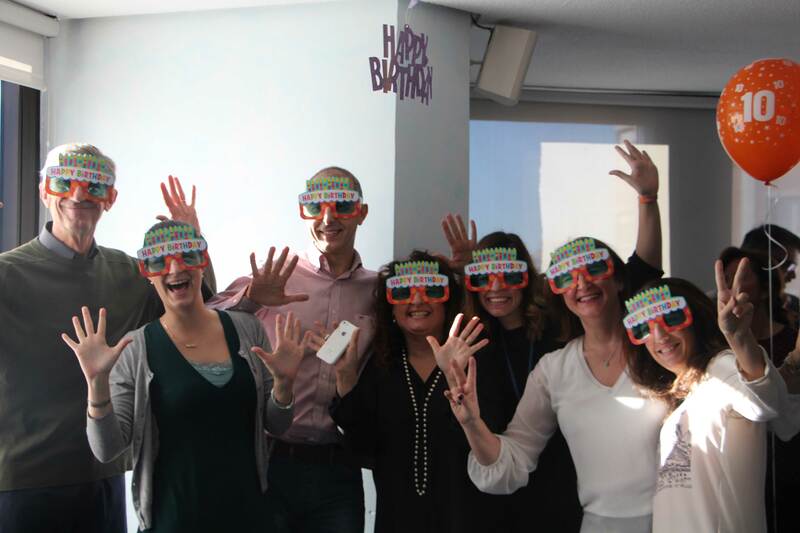 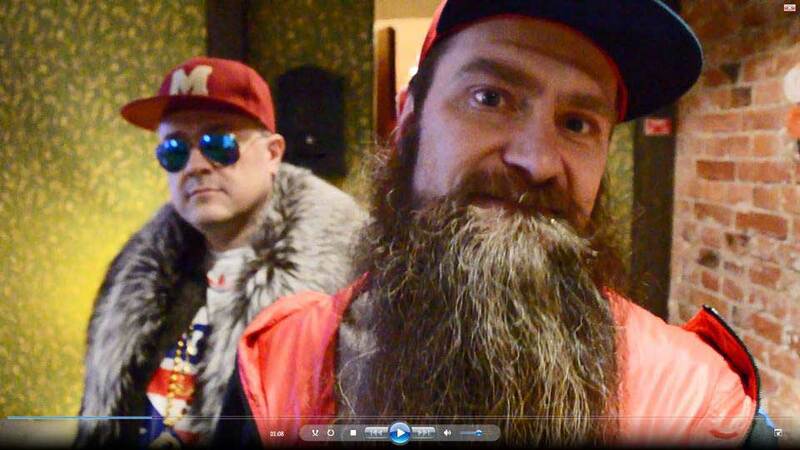 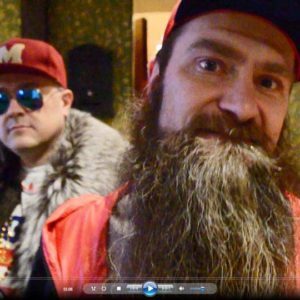 To celebrate 10 years of successful partnership with Google Russia (*cl), Ketchum Maslov recorded a hip-hop video. 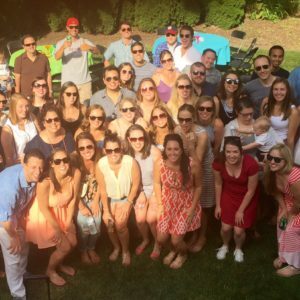 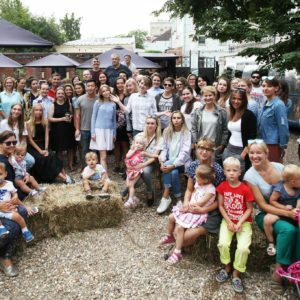 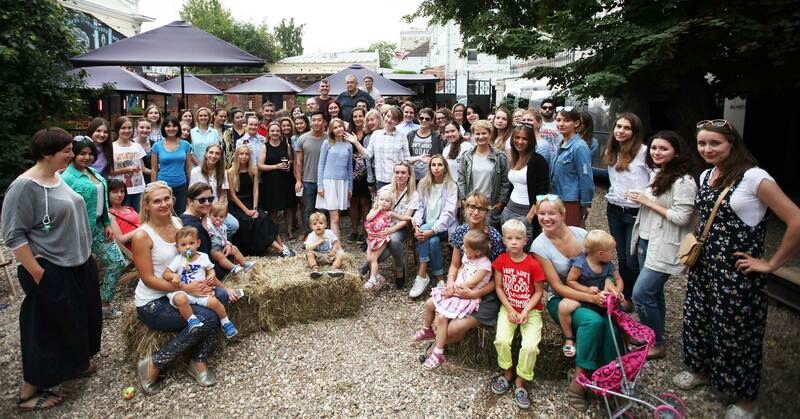 Colleagues from Ketchum Maslov enjoyed their annual summer picnic together. 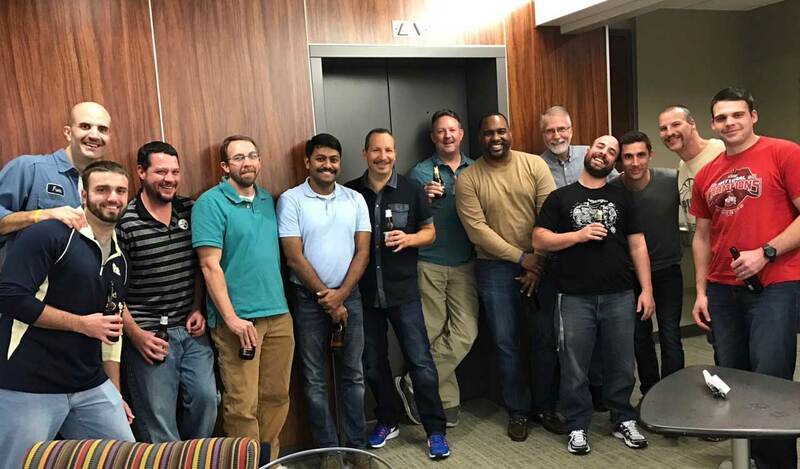 Members of Ketchum's Corporate Operations team raised over $1,600 to support Movember (*client). 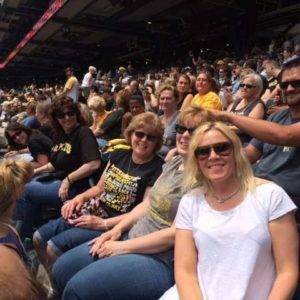 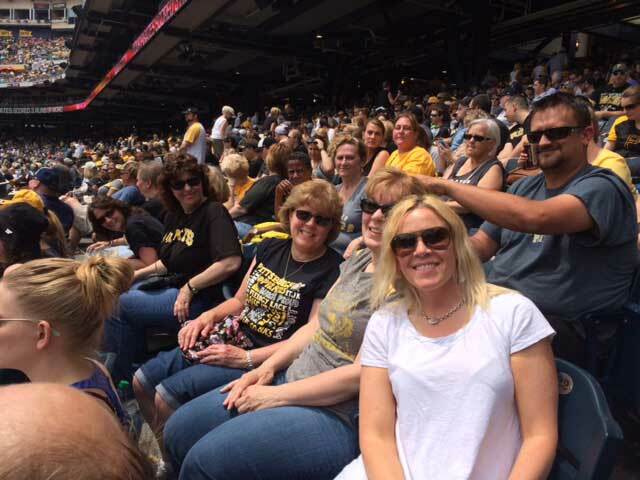 Colleagues from Pittsburgh, PA enjoyed a Pirates baseball game at PNC Park. 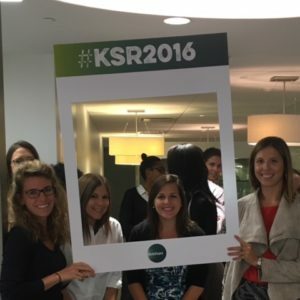 For KSR month, Ketchum complementary business Harrison & Shriftman visited Room to Grow, an NYC-based non-profit that enriches the lives of babies born into poverty throughout the critical first three years of development. 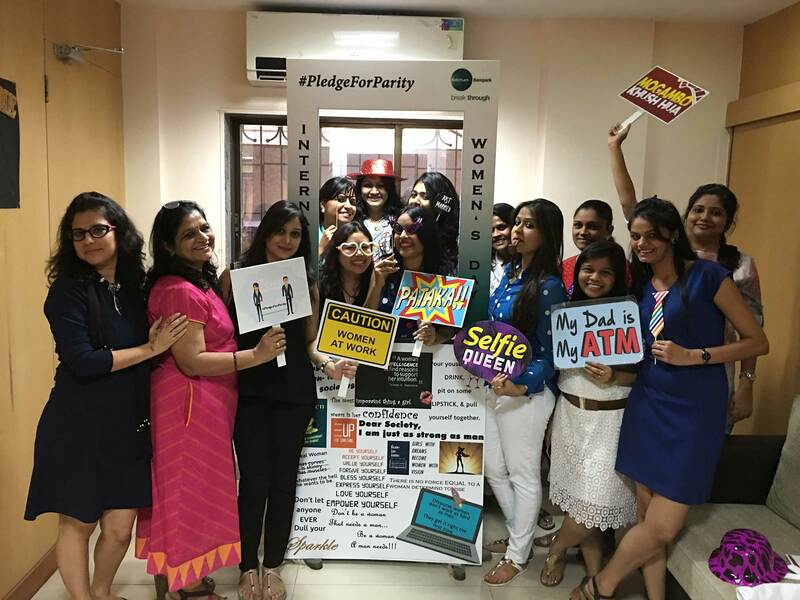 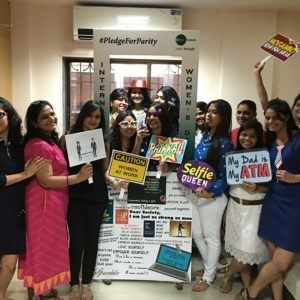 Colleagues in Mumbai celebrated International Women’s Day.